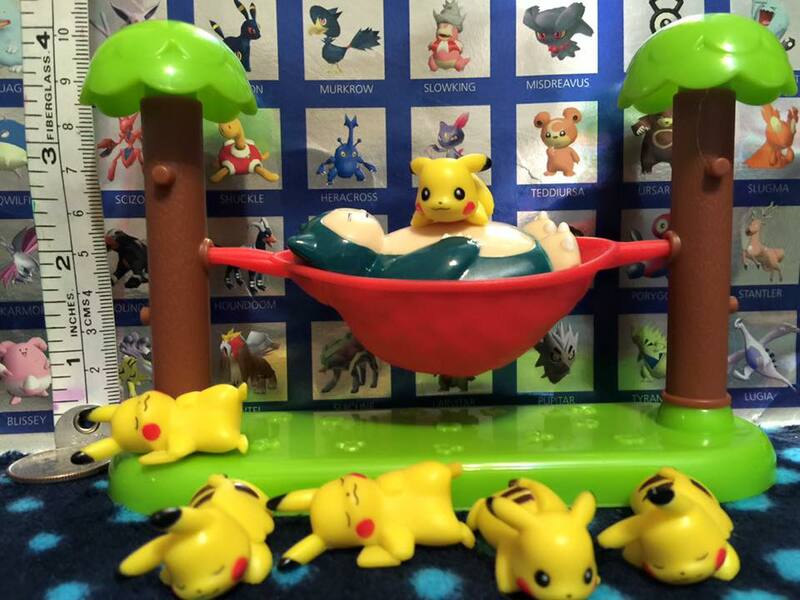 Pokemon - Welcome to Critical Smash!! 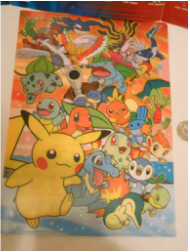 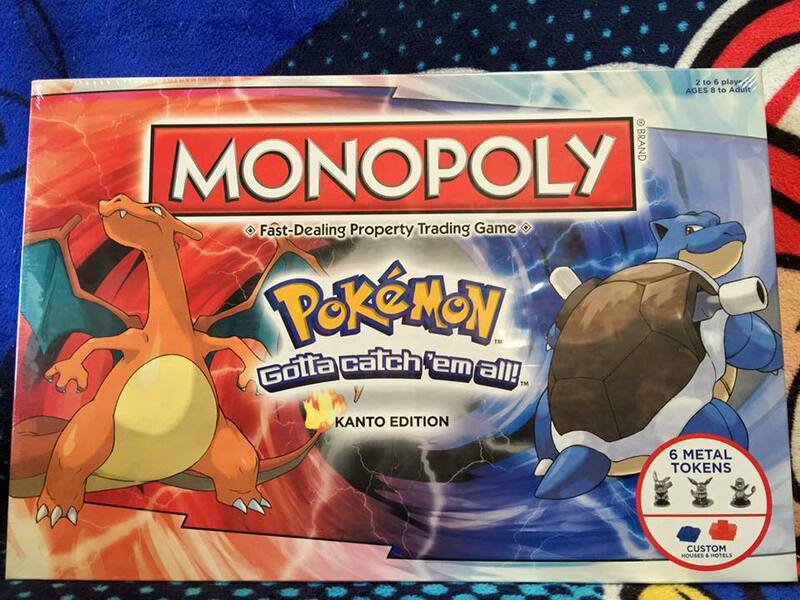 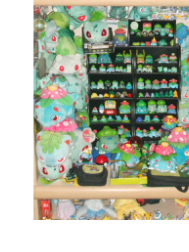 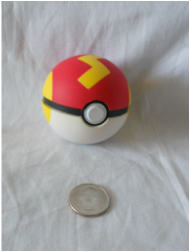 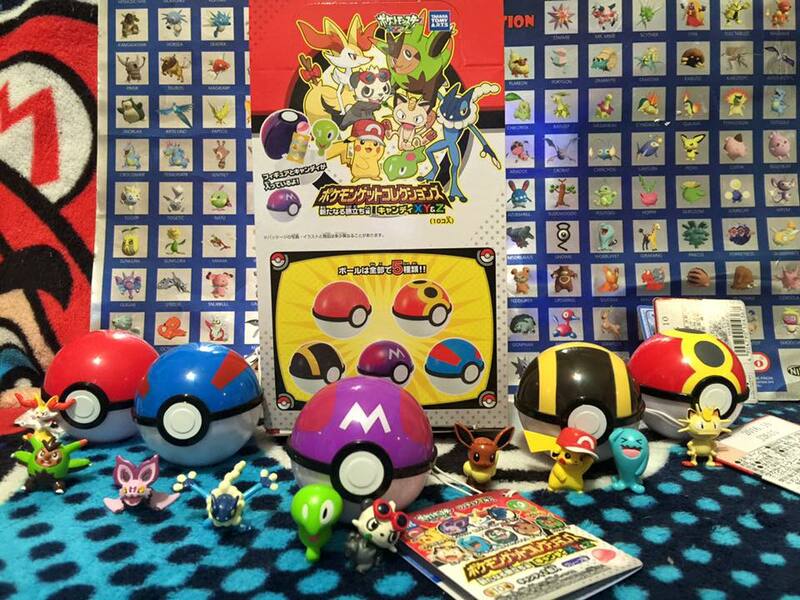 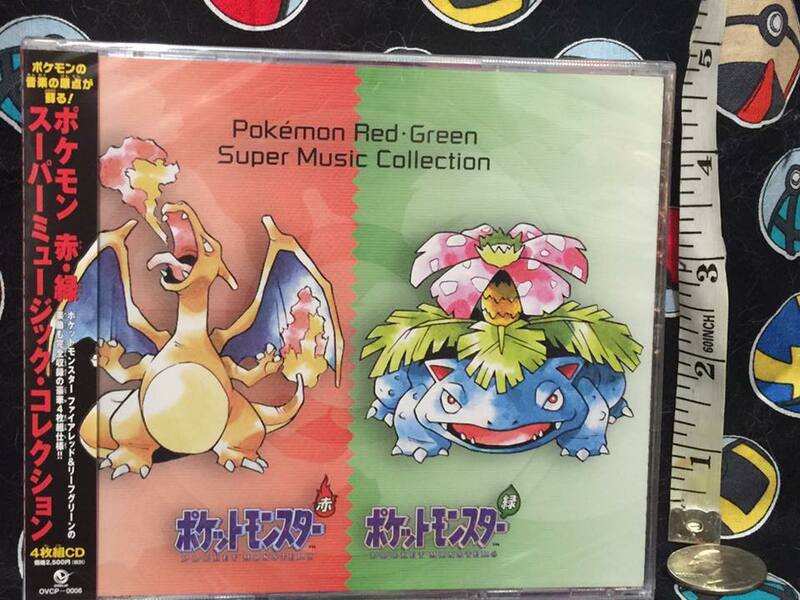 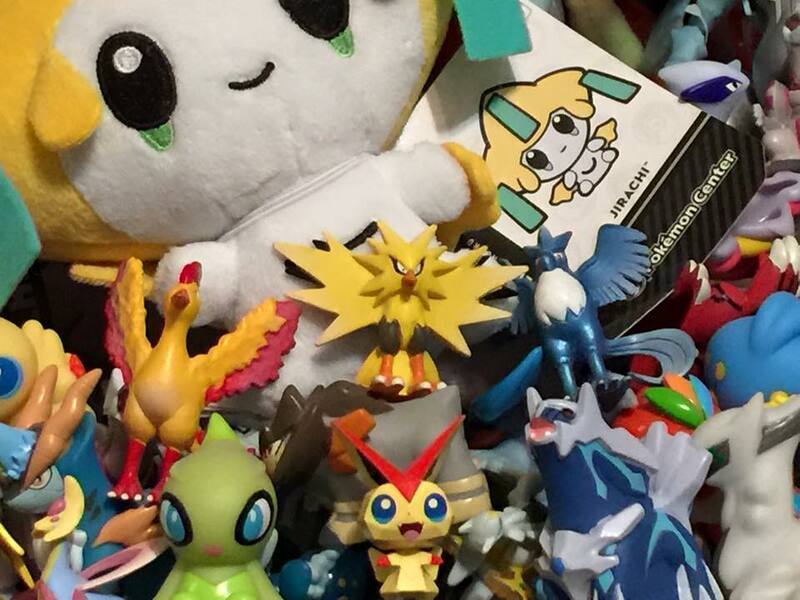 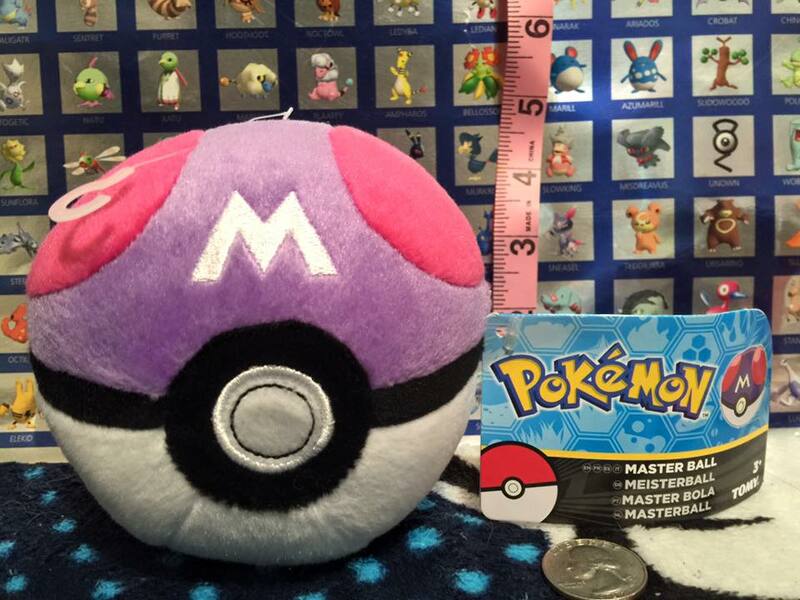 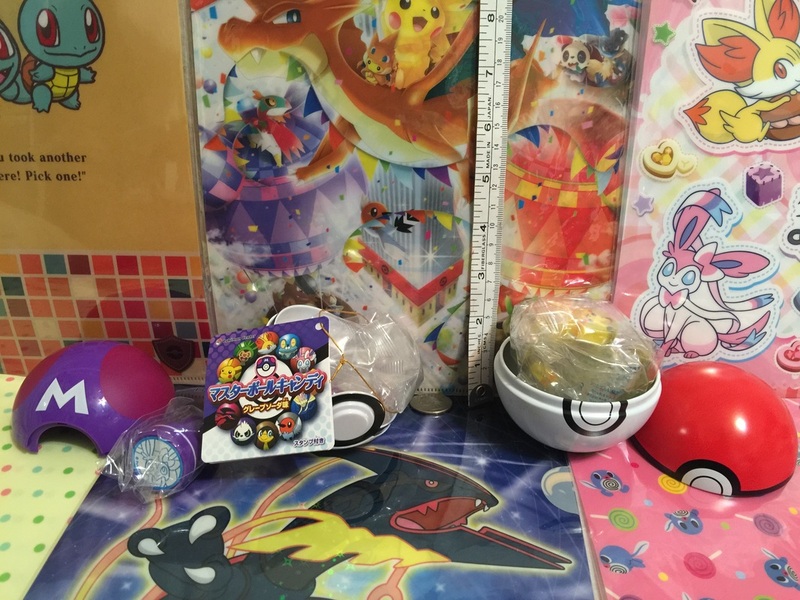 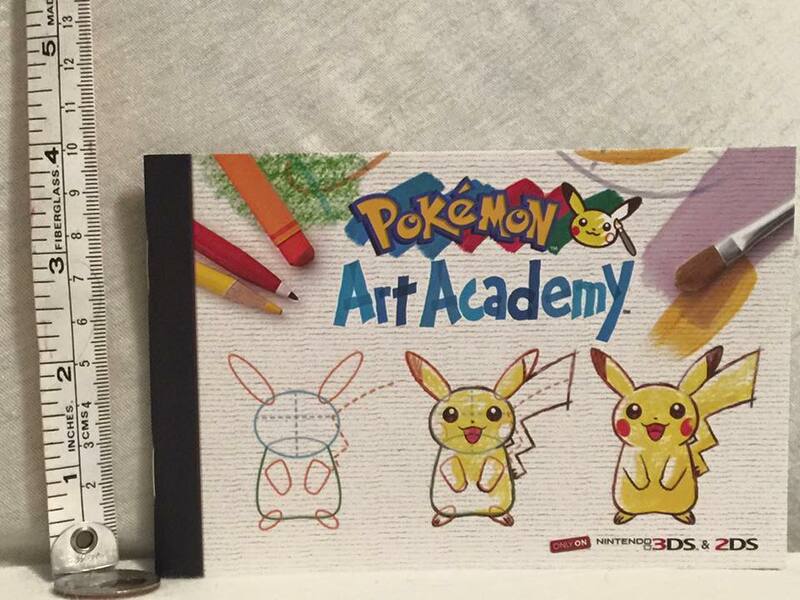 Pokemon is the series I collect the most memorabilia of with many strong attachments and memories involved with it. 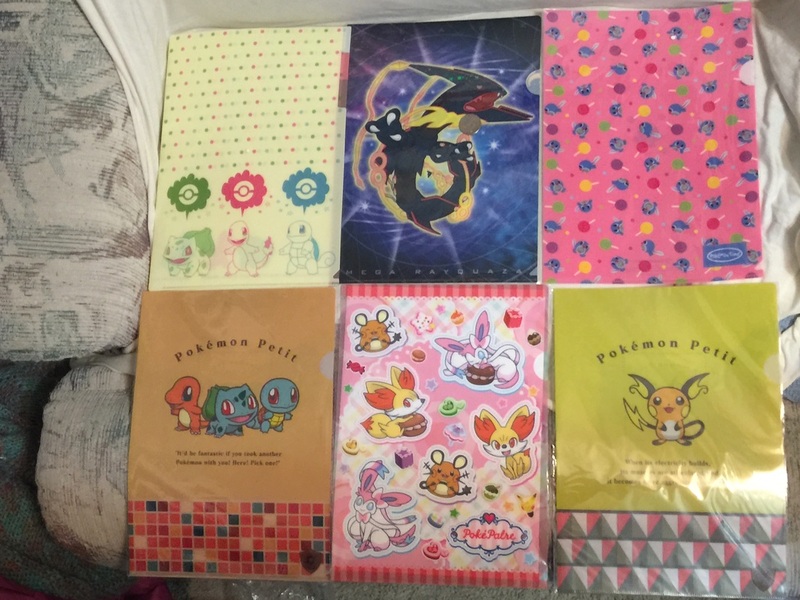 I got into the series at a rough time in my life which led me into foster care, moving to multiple states and cities and eventually back with my family. 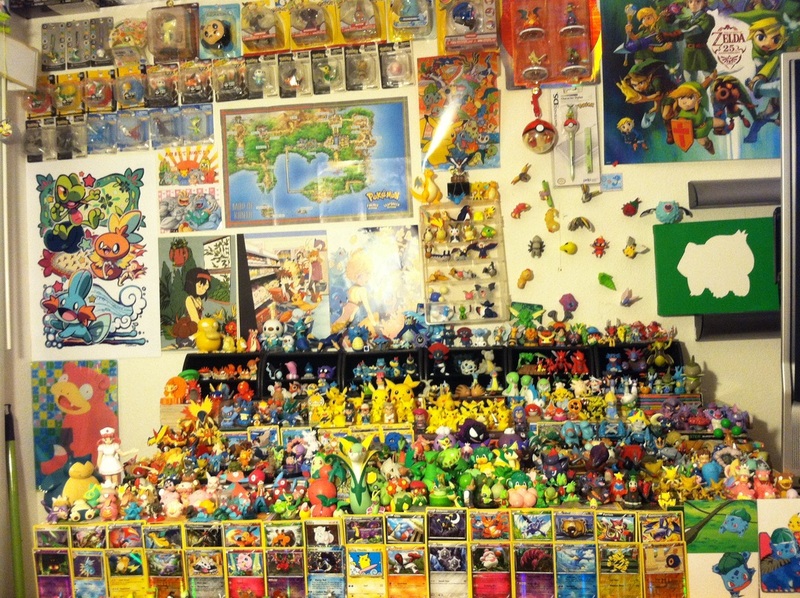 Through it all, I always carried a Nintendo handheld system with me and in my room and immersing myself for thousands of hours into this expansive and imaginative world which has led me to watching the anime, cosplaying from it and even becoming a gym leader at a local Toys R Us. 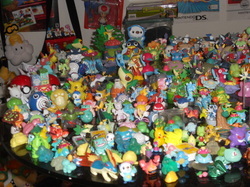 Tons of figures on our dining room table! 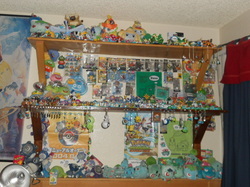 I took this shot for fun before I decided where all of these would go. 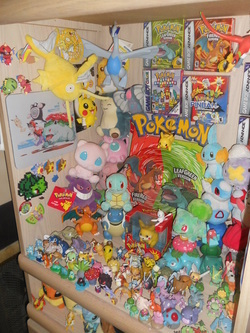 Living room display case! 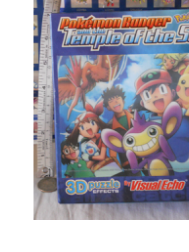 I picked the case up at Savers for under $15. 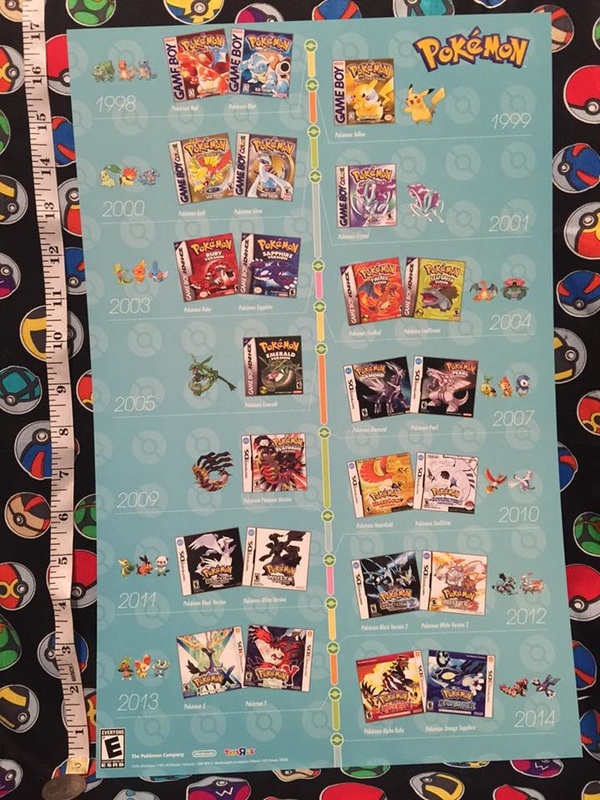 I have since added and removed items from this. 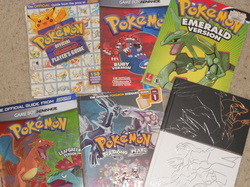 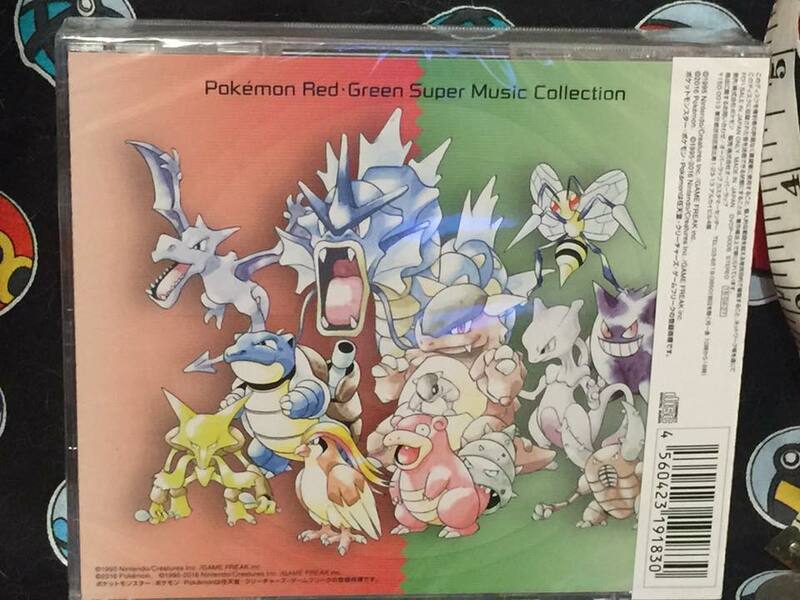 A handful of guides including one for Red and Blue, Ruby and Sapphire, Emerald, Fire Red & Leaf Green, Diamond and Pearl along with the hard cvoer for Black and White! 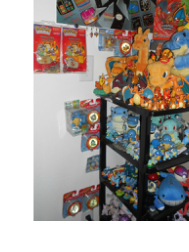 This was the setup I had in my first studio apartment! 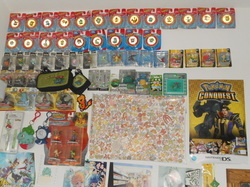 Current Bedroom wall display with all the Power Bouncers and packaged Tomy Figures we own! 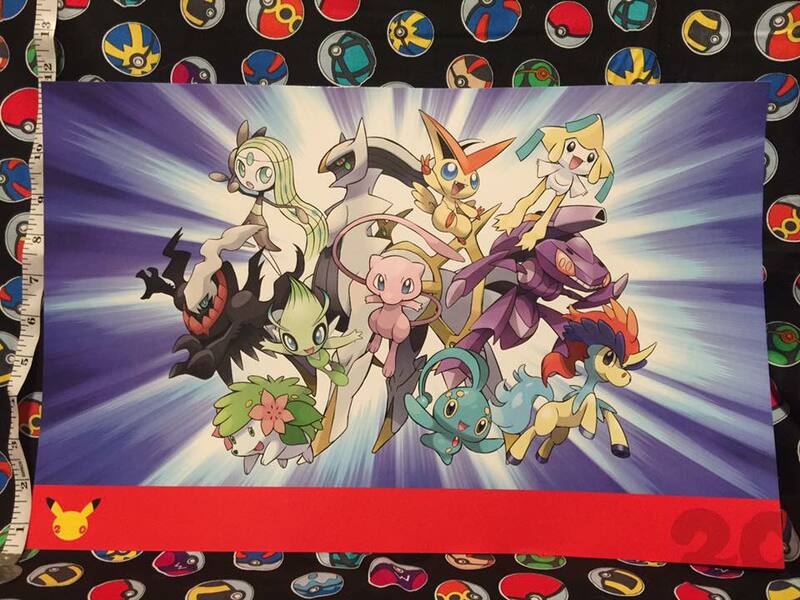 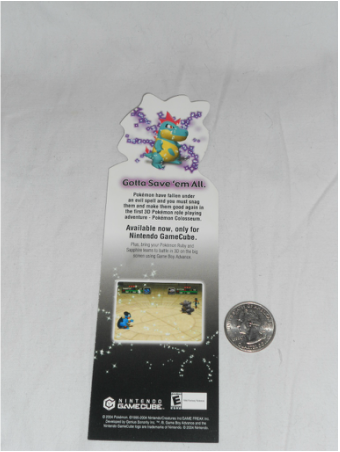 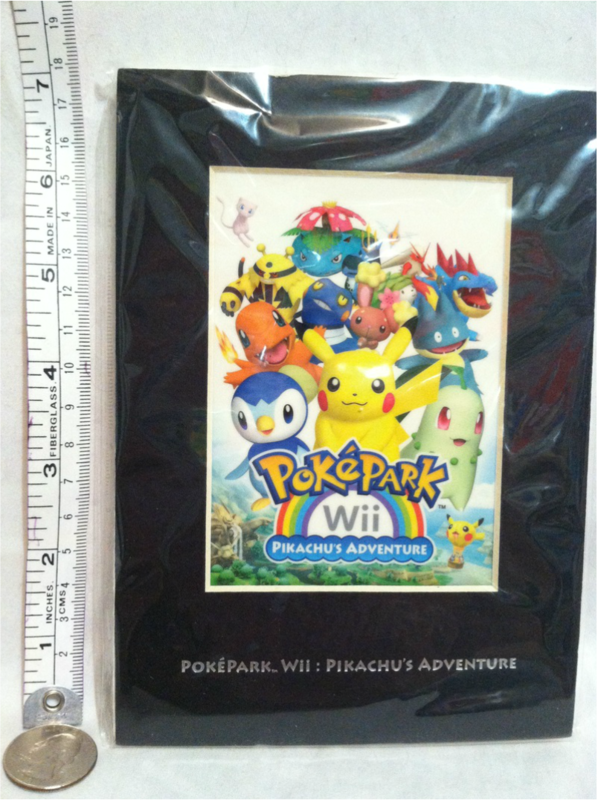 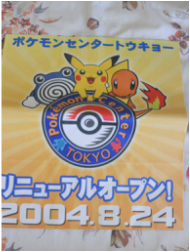 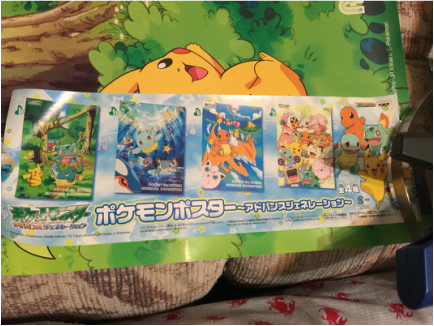 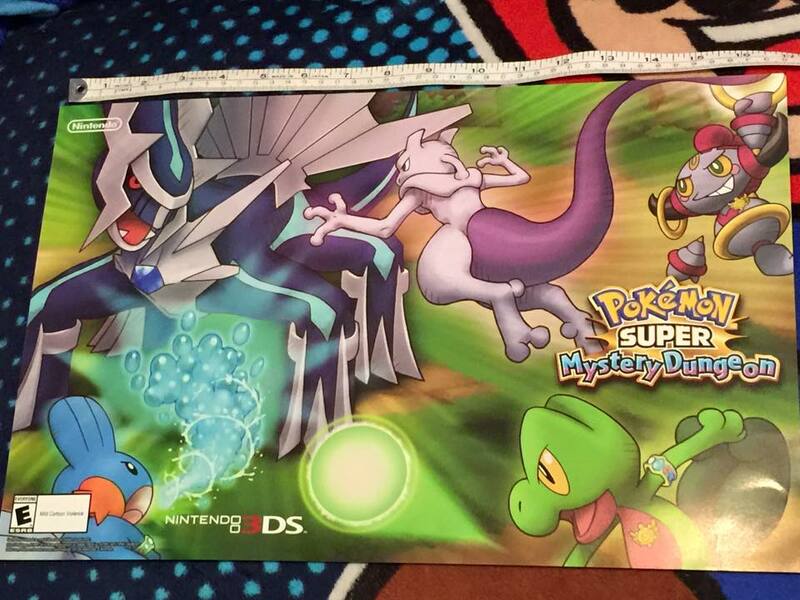 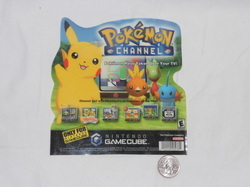 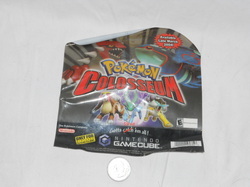 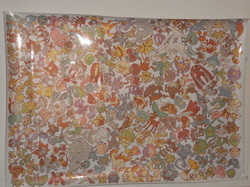 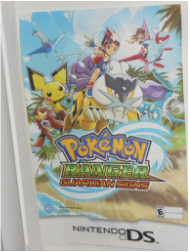 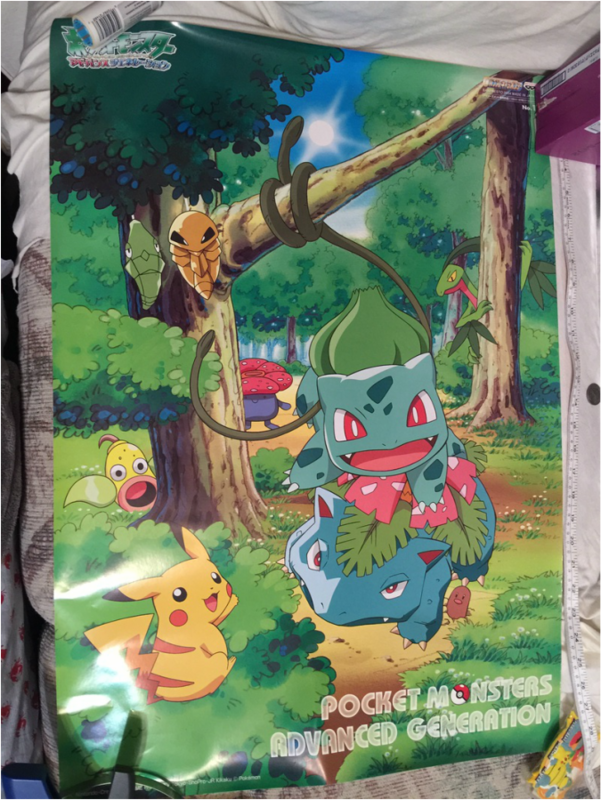 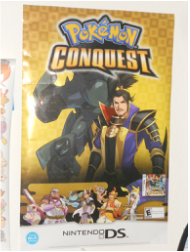 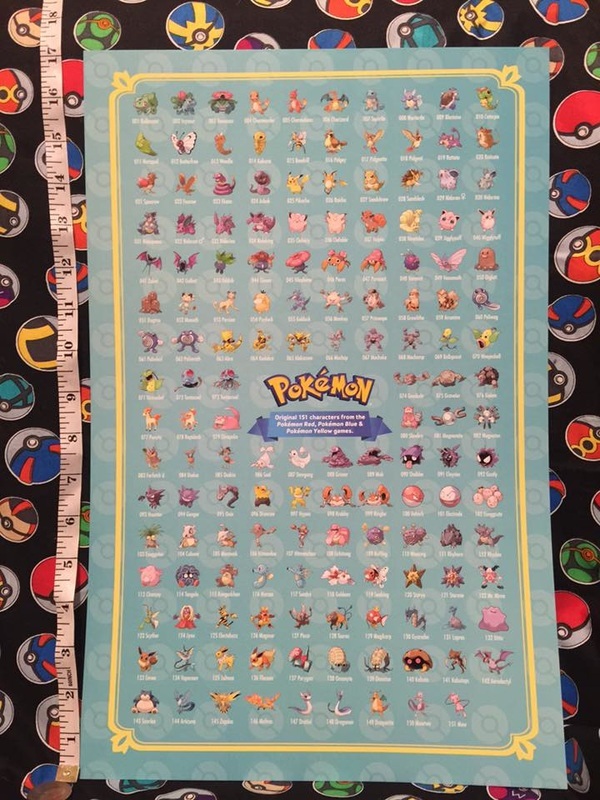 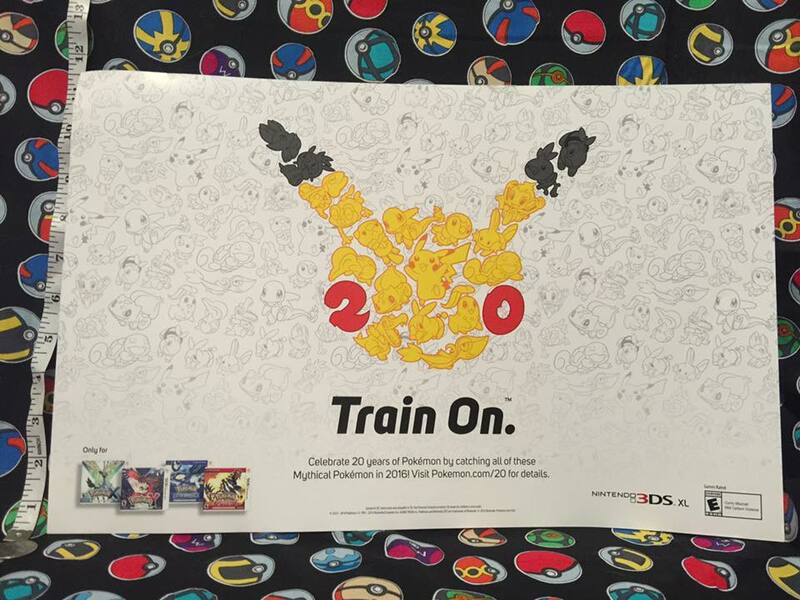 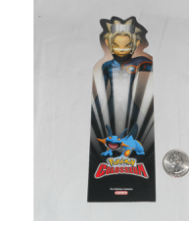 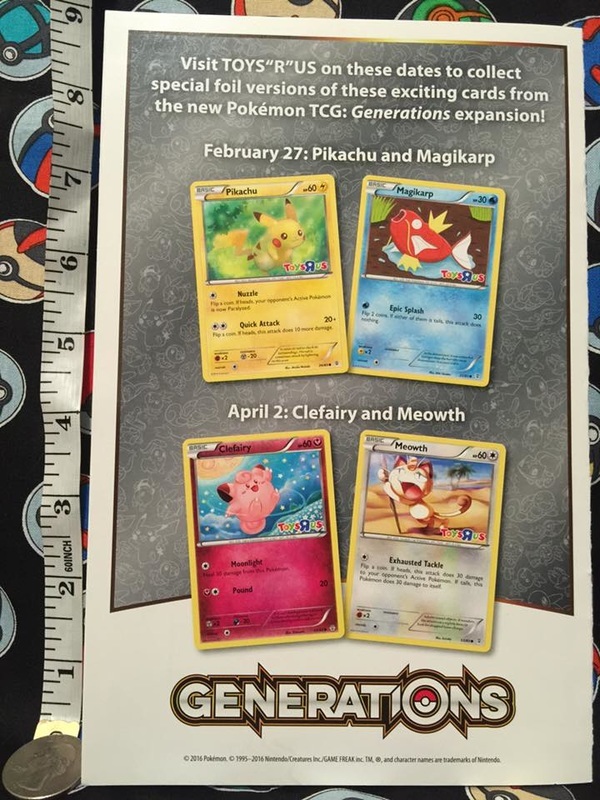 You can also see the Pokemon Conquest cling poster! 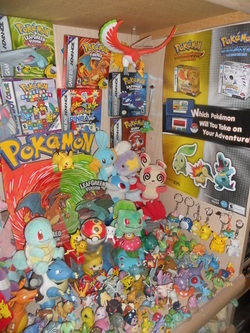 Legendary shelf! 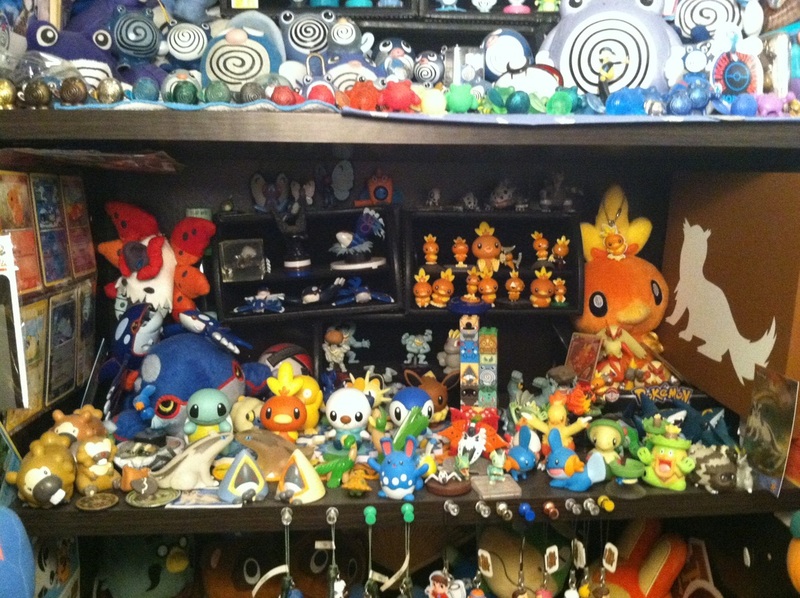 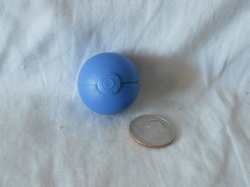 This thing has filled up alot since I took this! 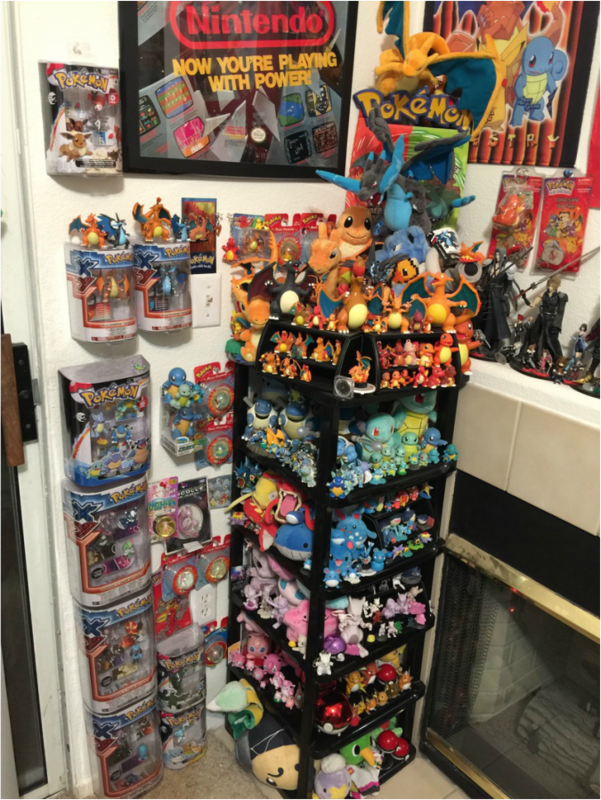 This was the first setup I used when I obtained this shelf. 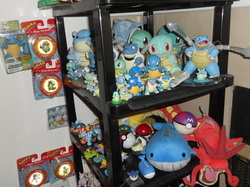 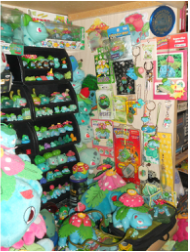 This space is now over run by my Saur line collection! 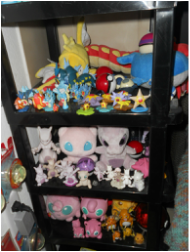 This space was originally Gen 1 and 3 Pokemon which later just became all Gen 1. and now is the home to all my Saurs! 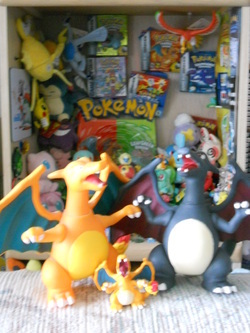 I took this shot when I finished painting the Shiny DX Tomy Charizard! 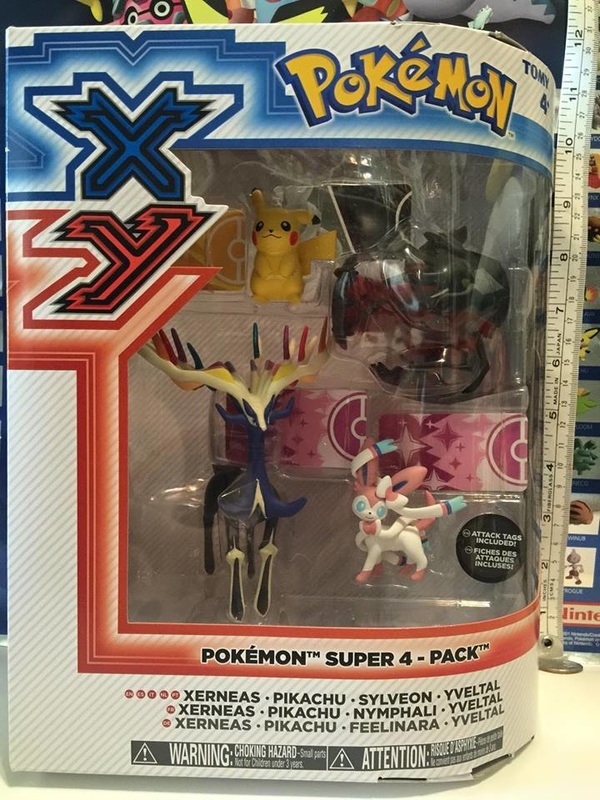 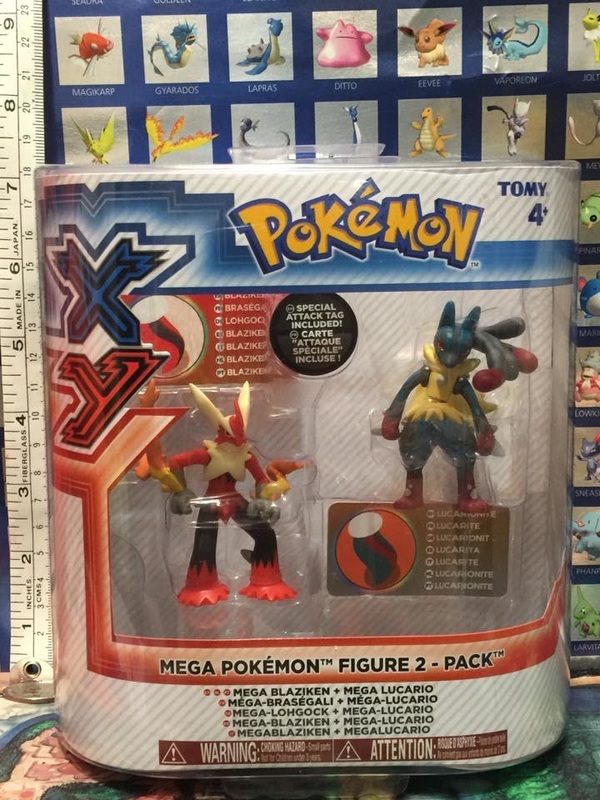 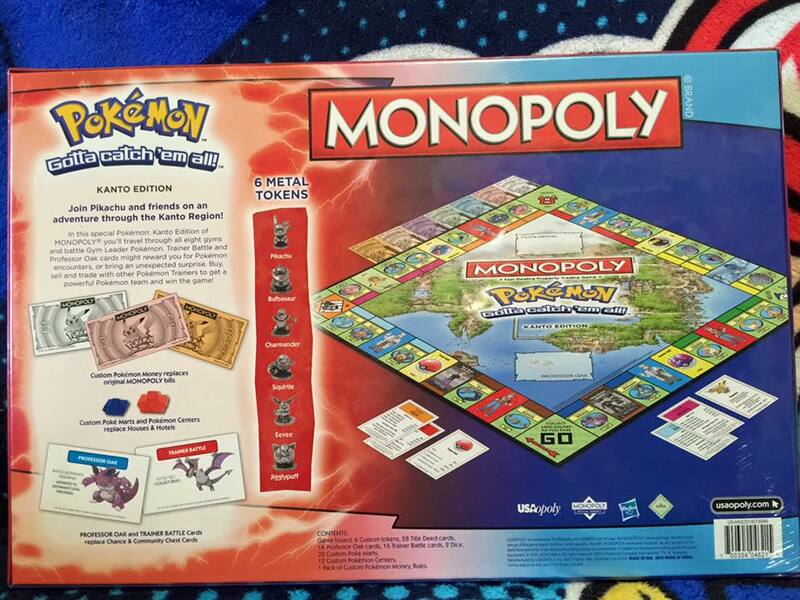 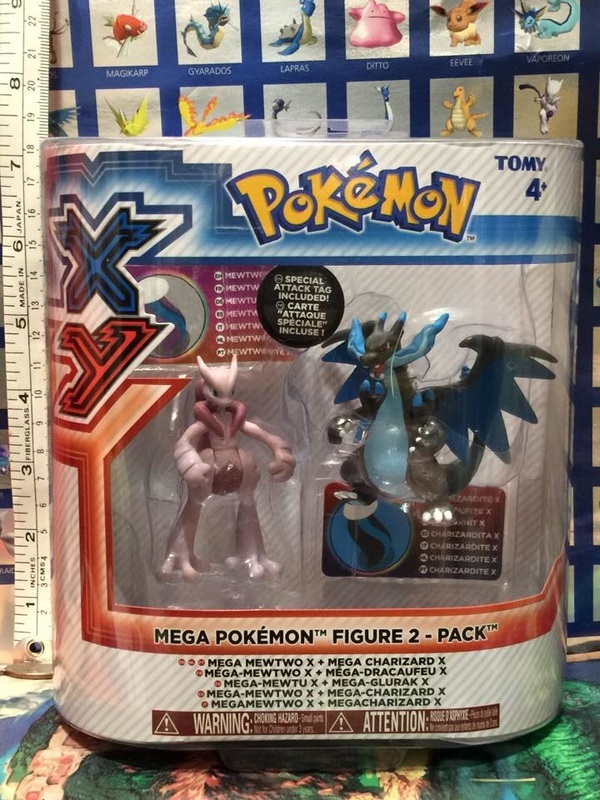 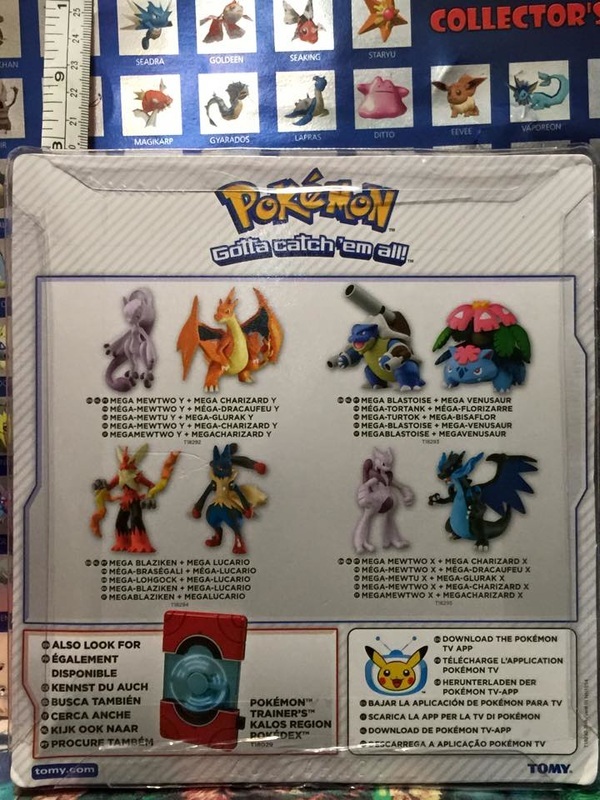 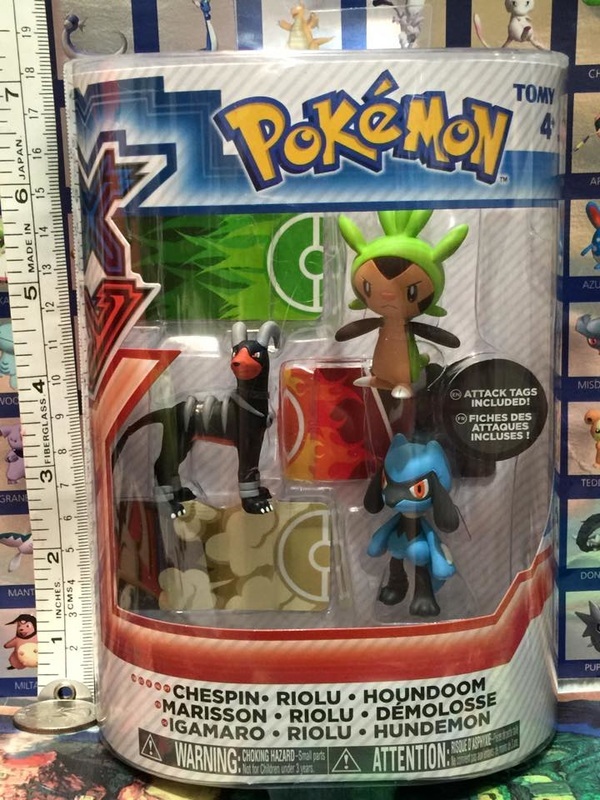 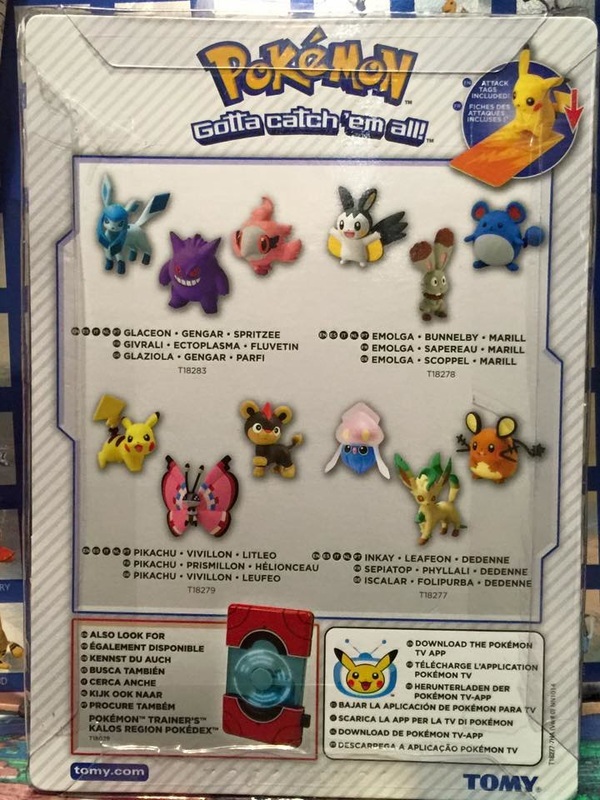 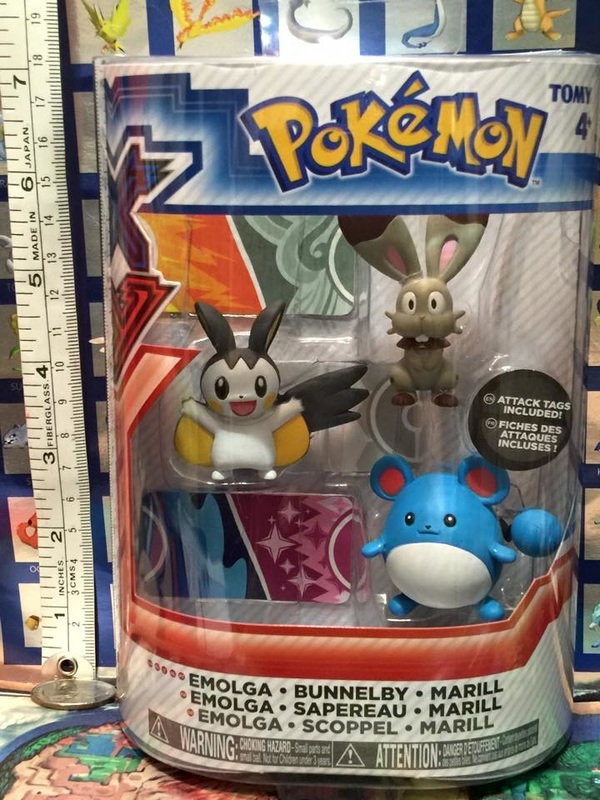 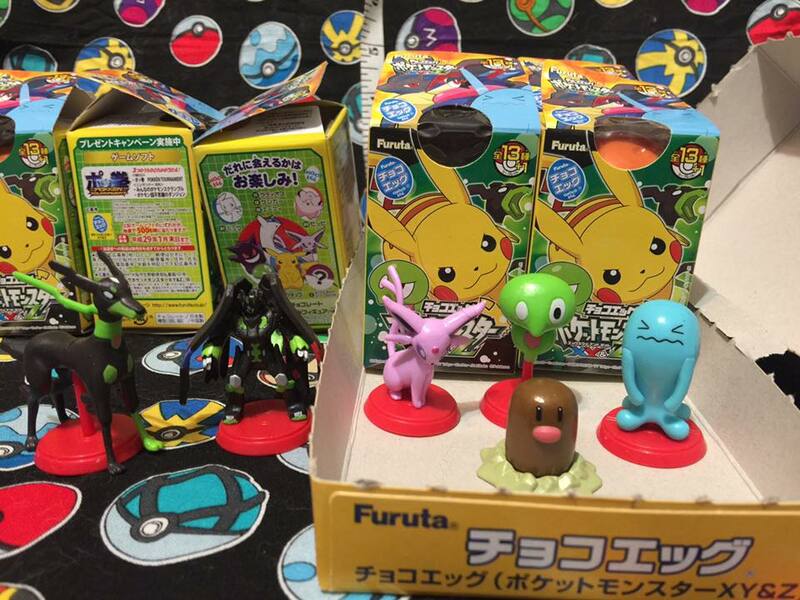 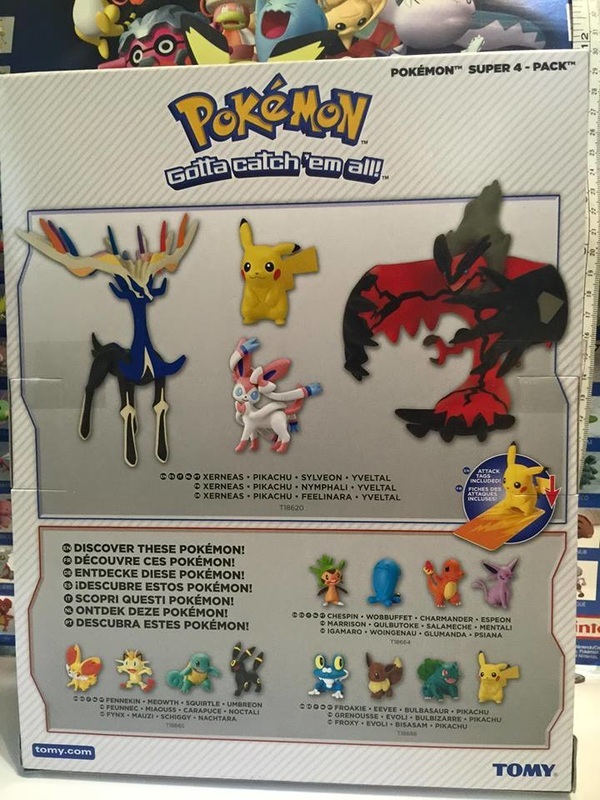 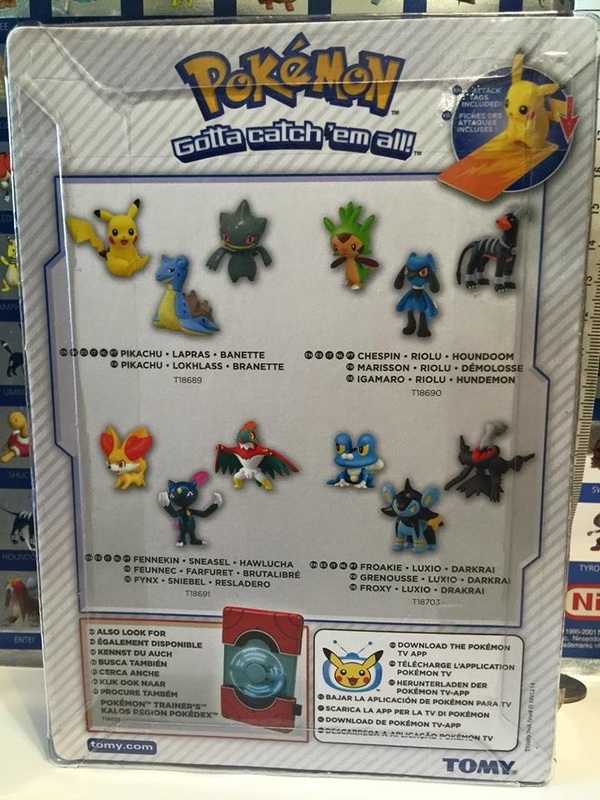 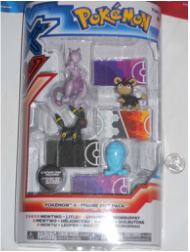 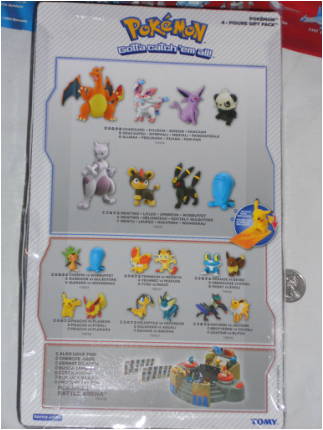 Tomy USA Pokemon 4 Pack of MonColle Mewtwo, Litleo, Umbreon, and Wobuffet. 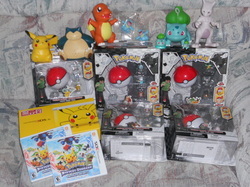 Purchased from Toys R Us on 4-14 due to a BOGO 50% Special on all Pokemon merch. 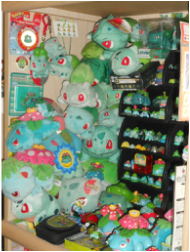 Tons of plush on the bed! 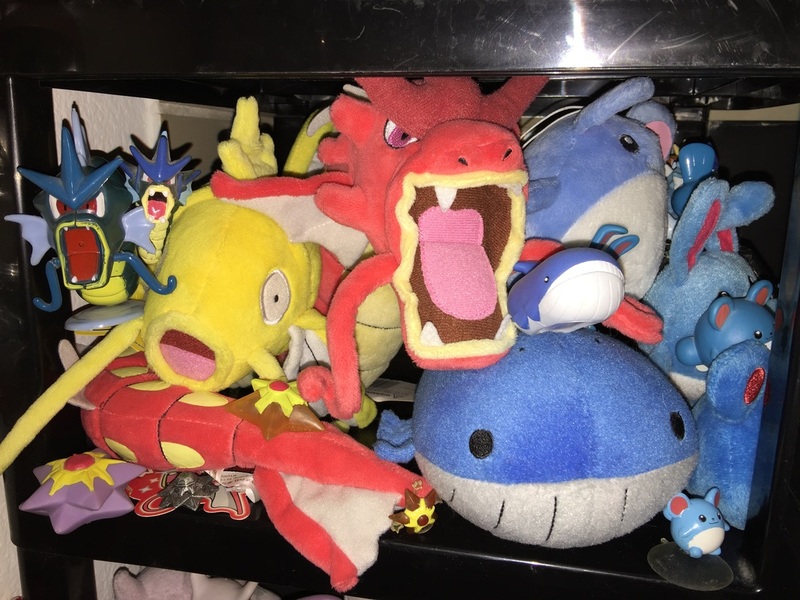 This was once all the Pokemon plush in our collection but has grown since! 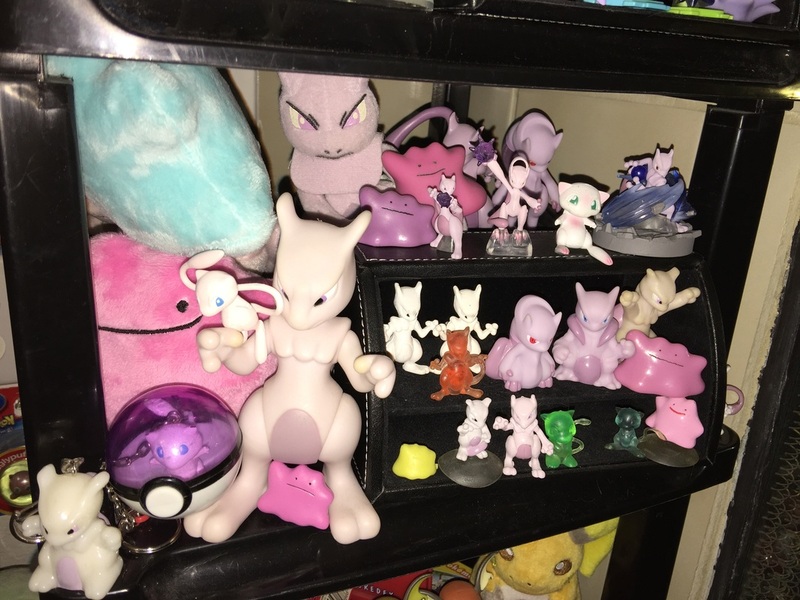 Living room corner shelf! 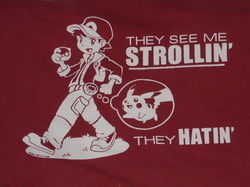 This changes from time to time but the type theme remains the same. 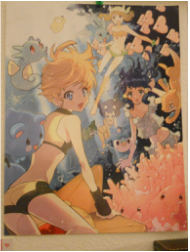 Edit 8-15-13. 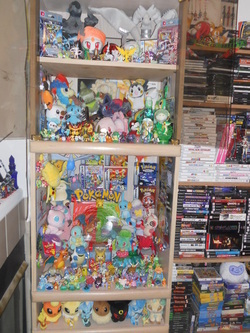 This space is now reserved for the most major of side collections. 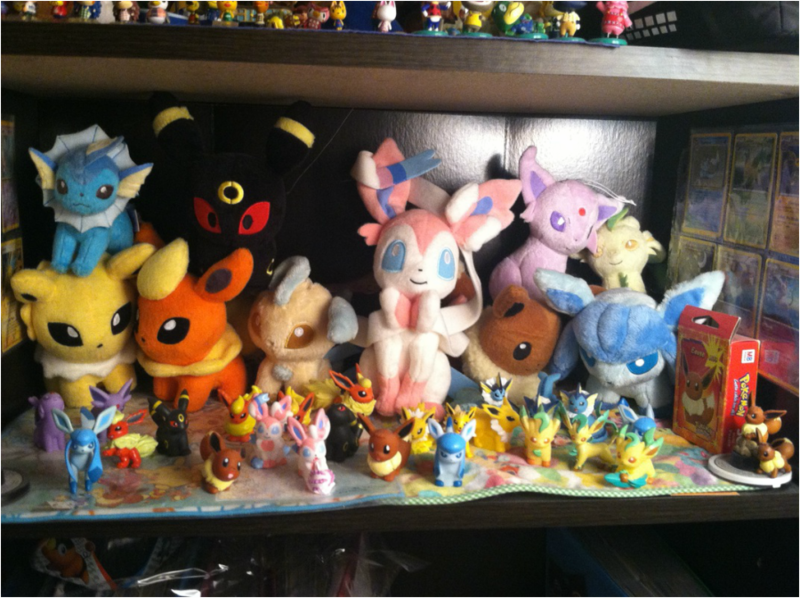 Older Eevee display. 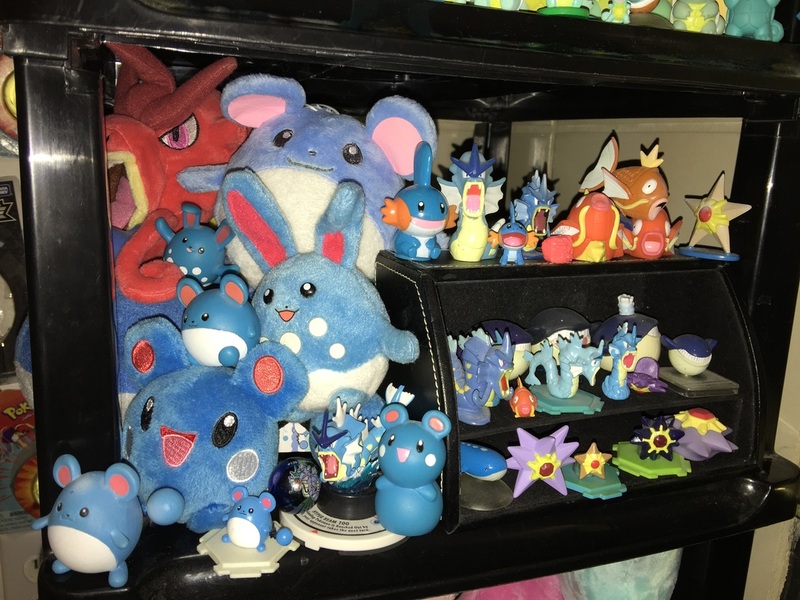 I do not focus collecting Eevees but I am happy to have a plush and figure of each one! 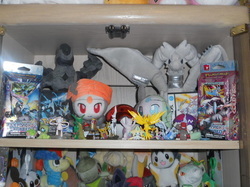 This space now holds many Saur items! 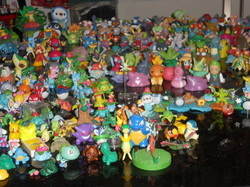 More table figures with a lot of FCS figures attached to one another! 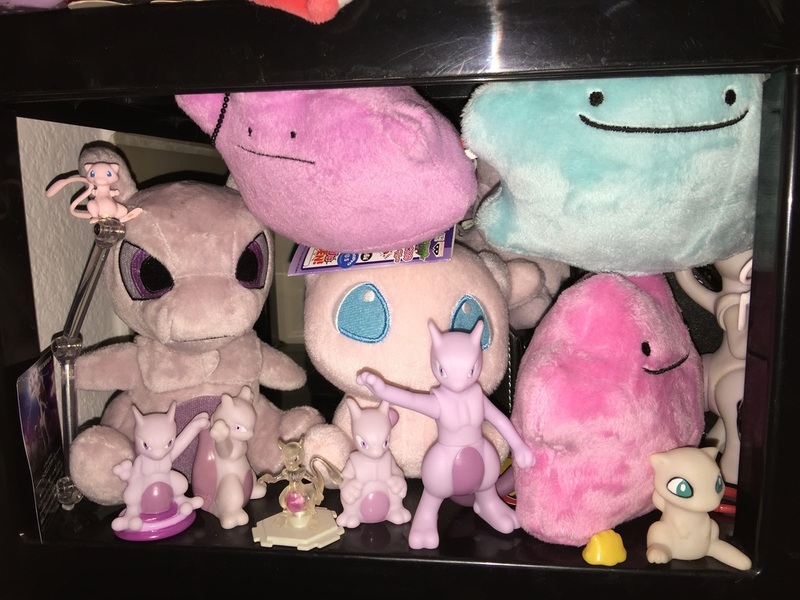 My Gf buried in a pile O' plush! 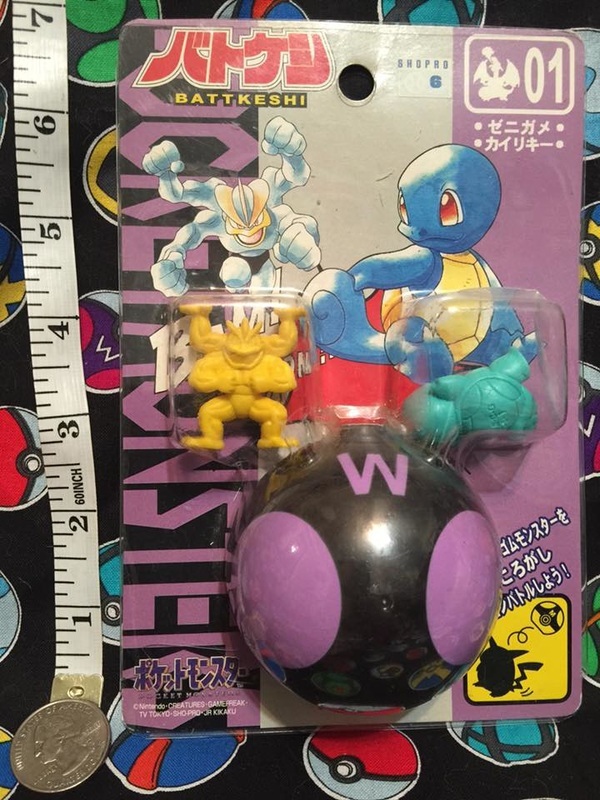 Power Bouncers! 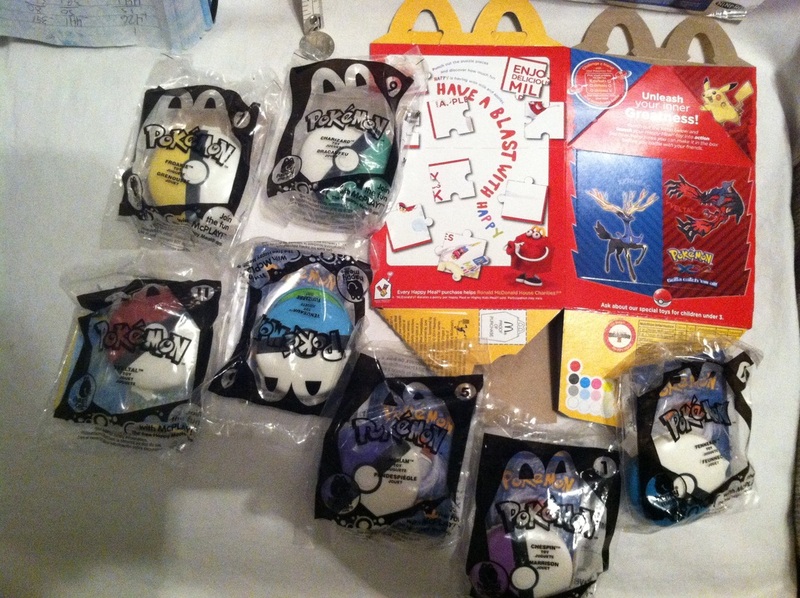 I don't know anyone else that collects these but when they first launched I had to have them all. 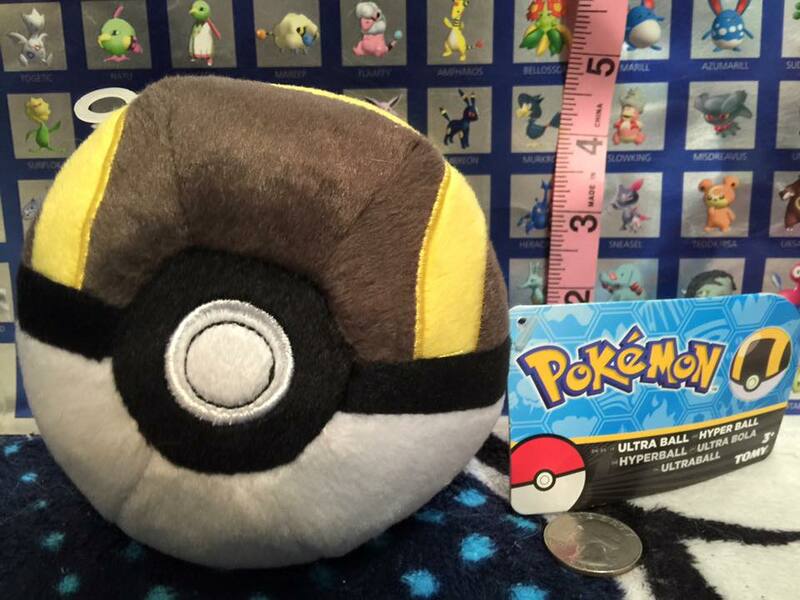 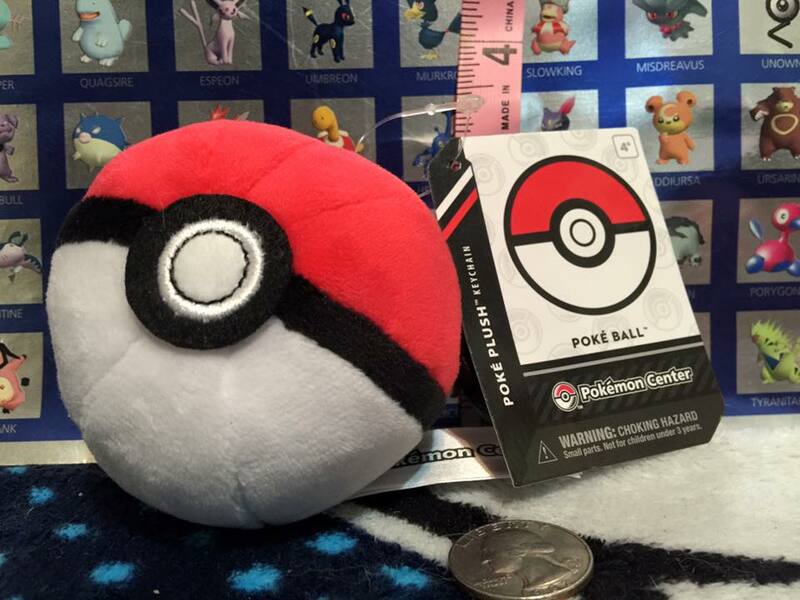 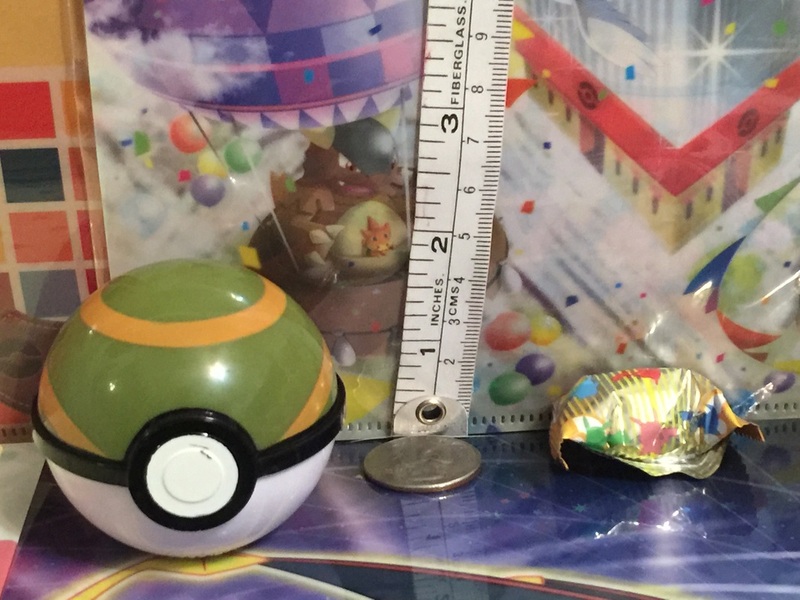 Over the year the balls have yellowed and there is some package damage but I still want to collect the rest of these! 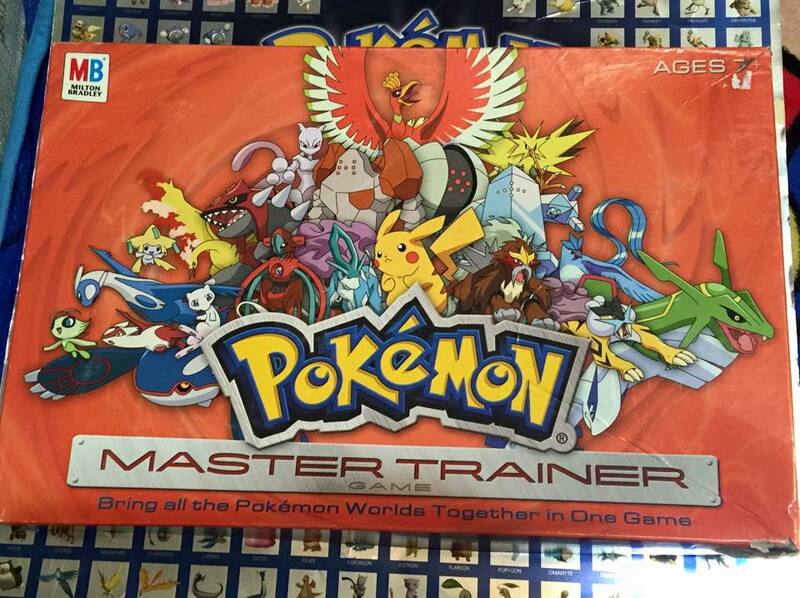 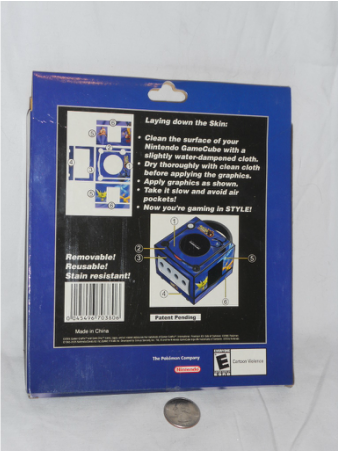 I picked up this starter pack right before they stopped carrying these everywhere for good. 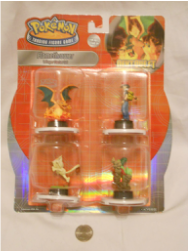 I still pick up loose TFG figures from time to time. 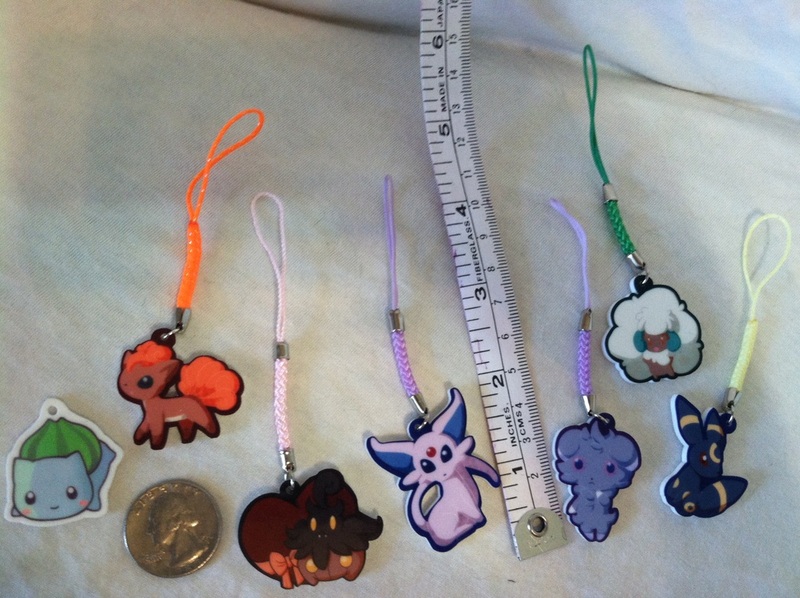 Vario charms purchased from Pkmncollectorslivejournal. 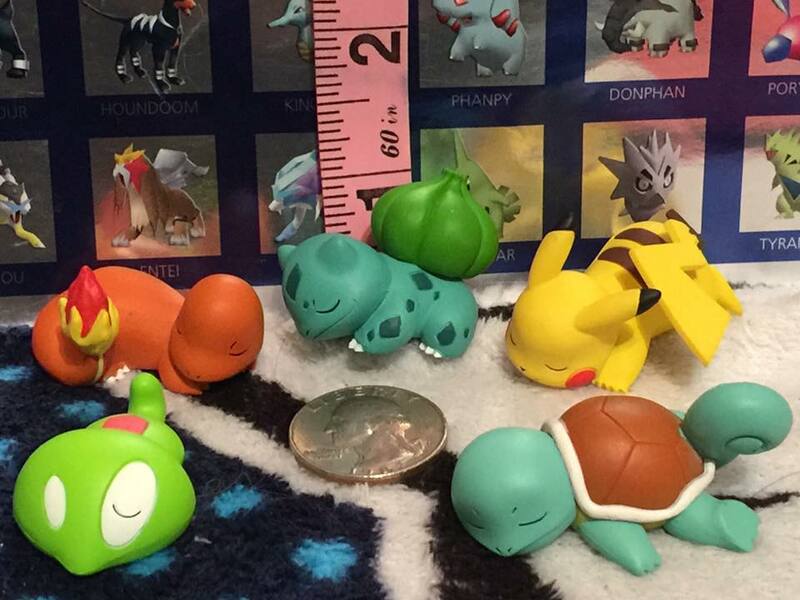 The Bulbasaur was given to me by my friend Jessica! 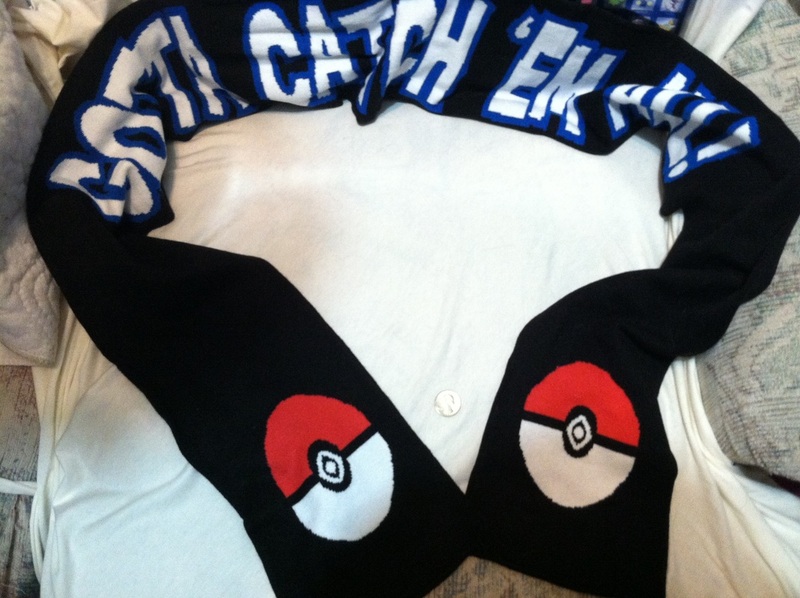 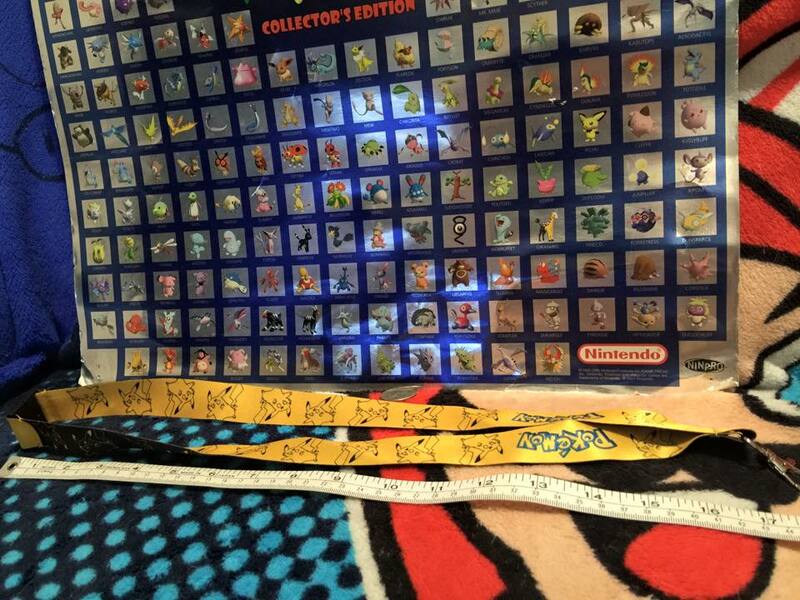 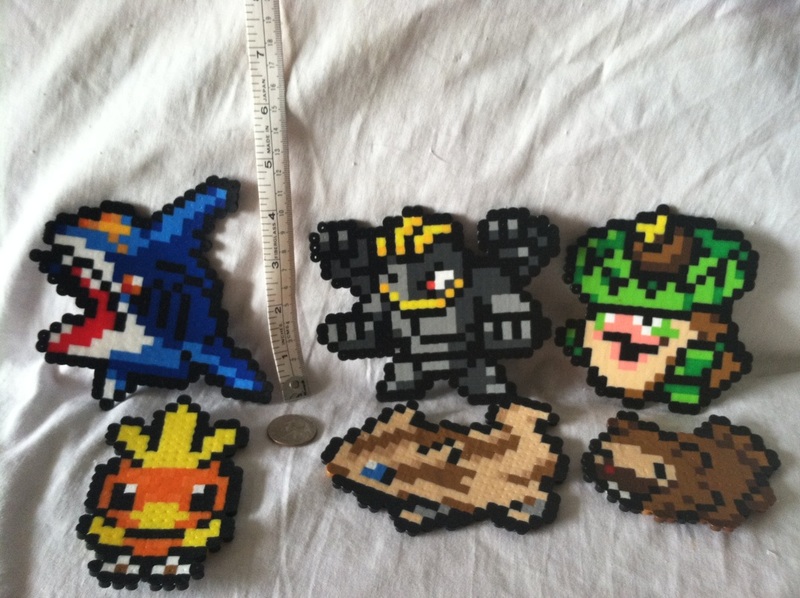 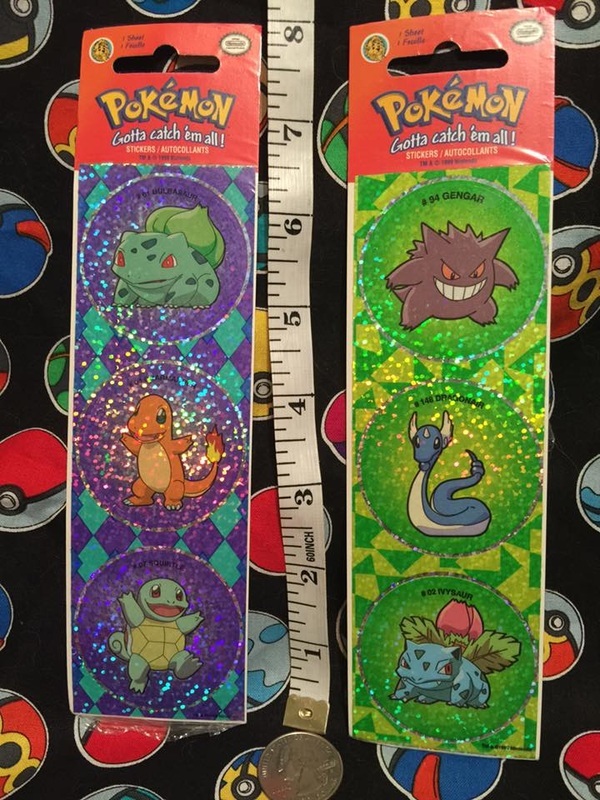 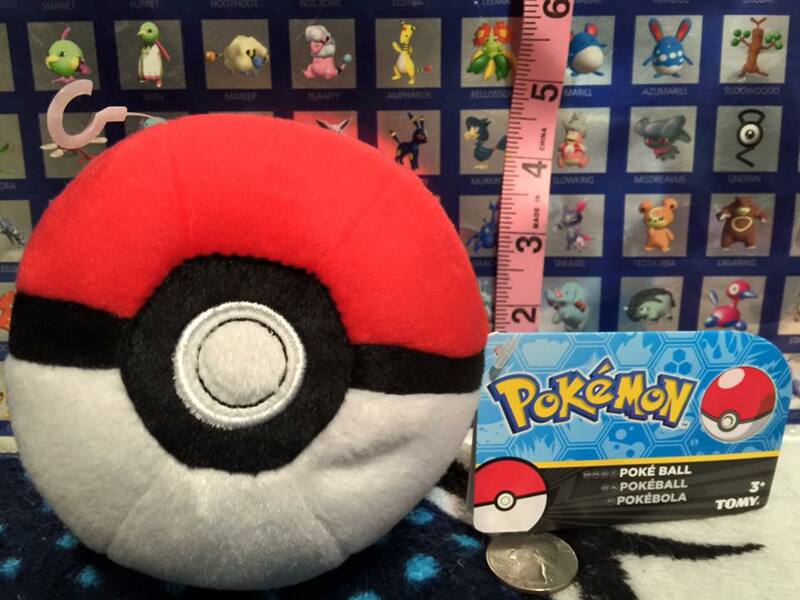 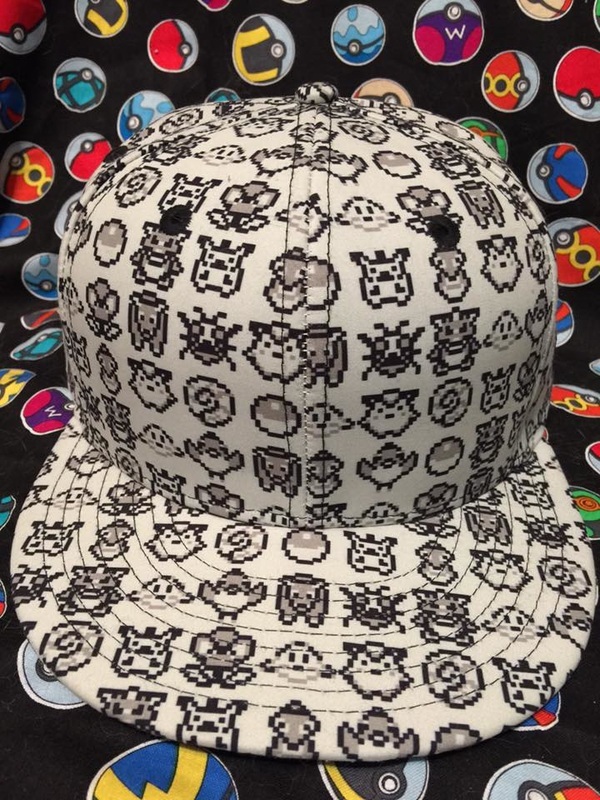 Custom perlers from Latias_Latios_7 of the Pkmncollectors Livejournal Community! 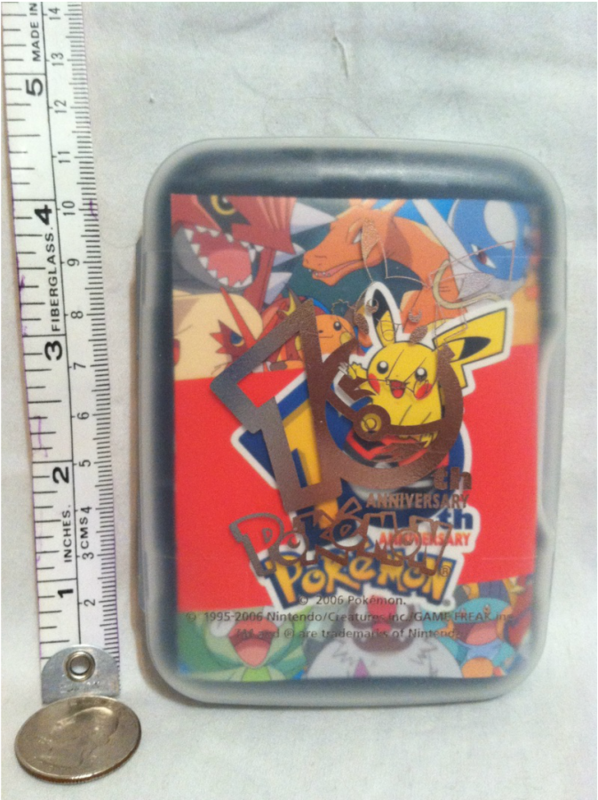 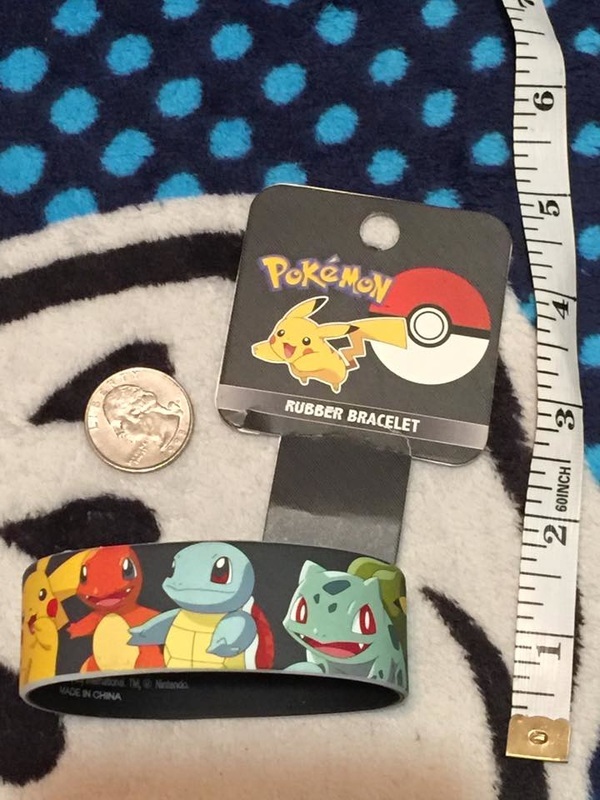 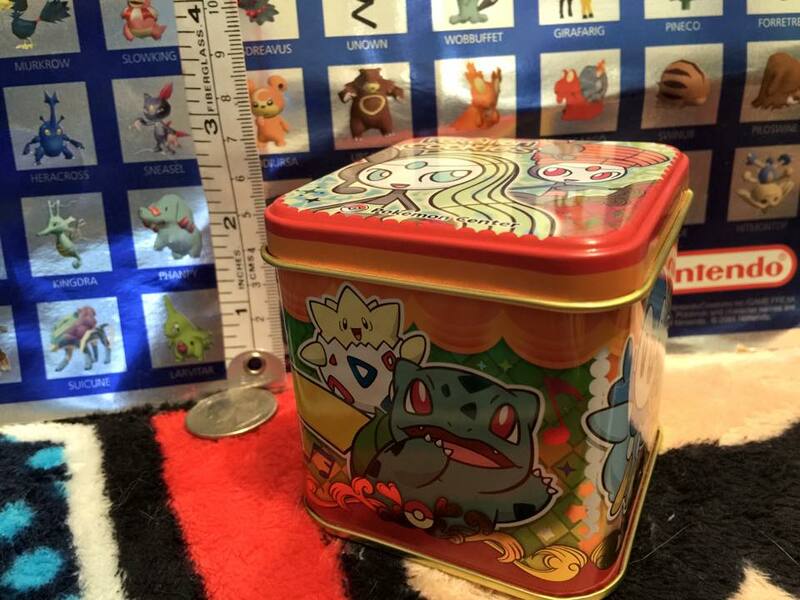 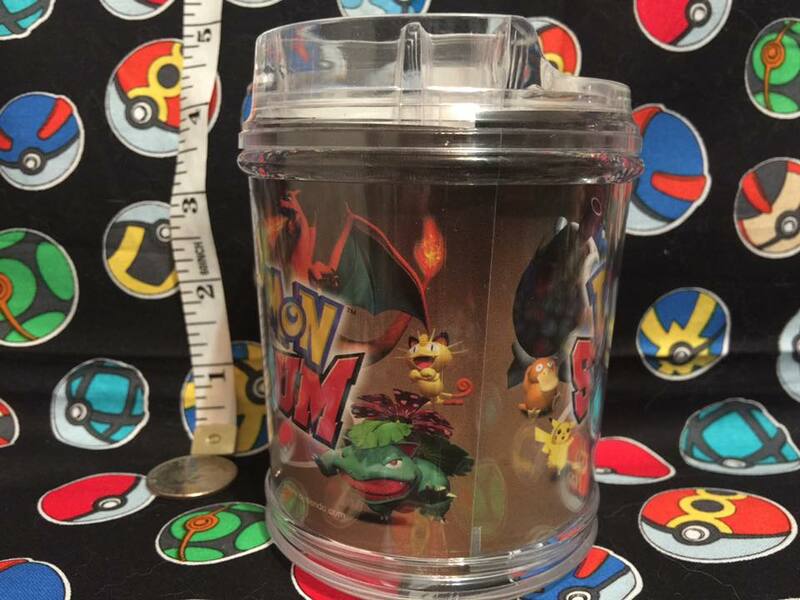 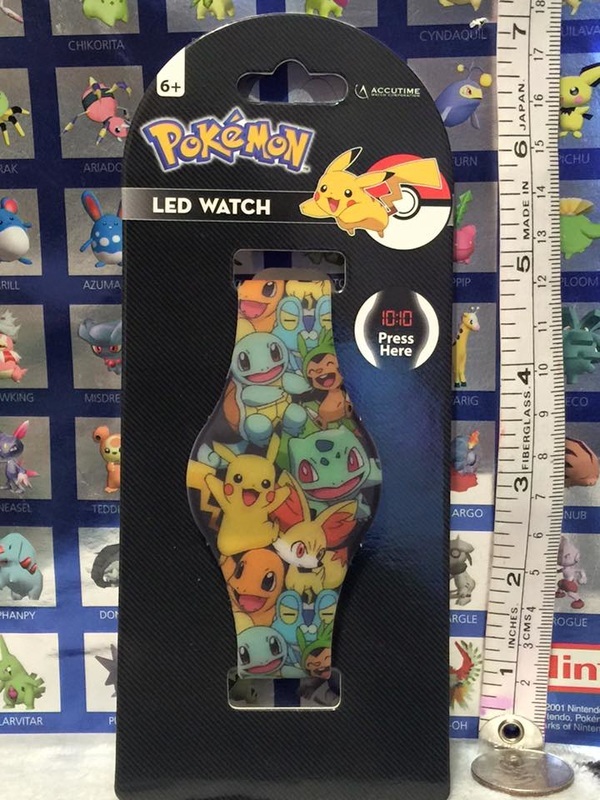 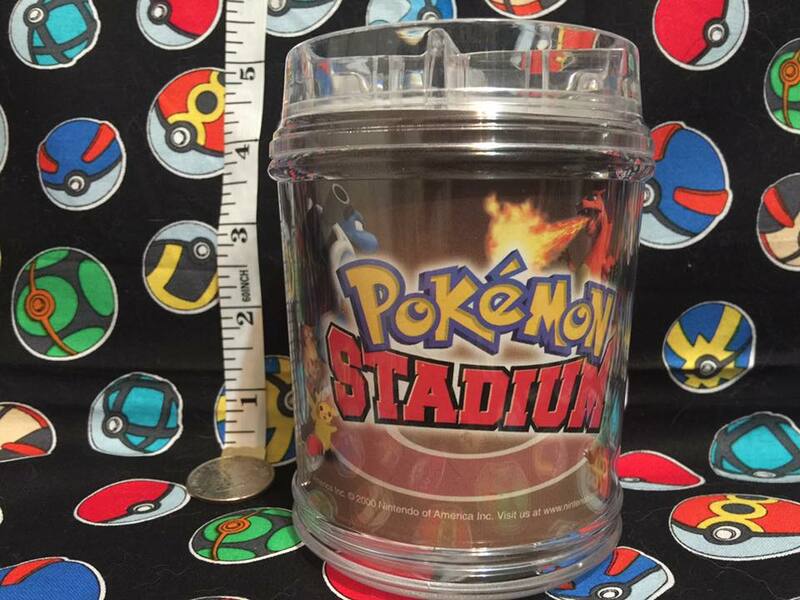 Pokémon Center Cookie Tin. 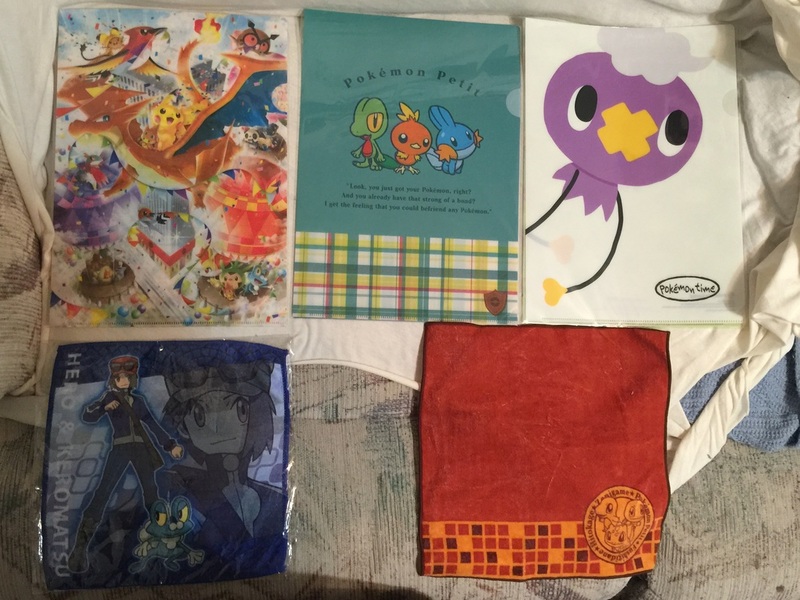 Purchased from PMX 2015 Swap Meet! 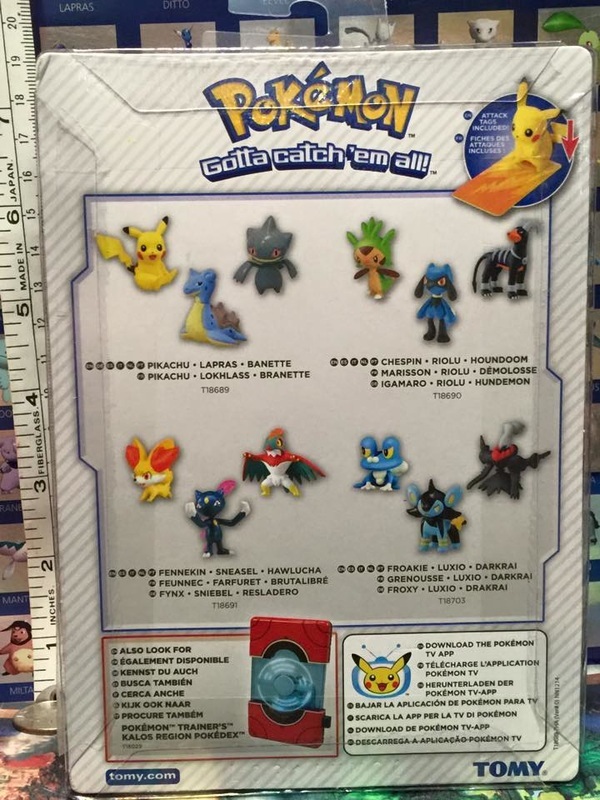 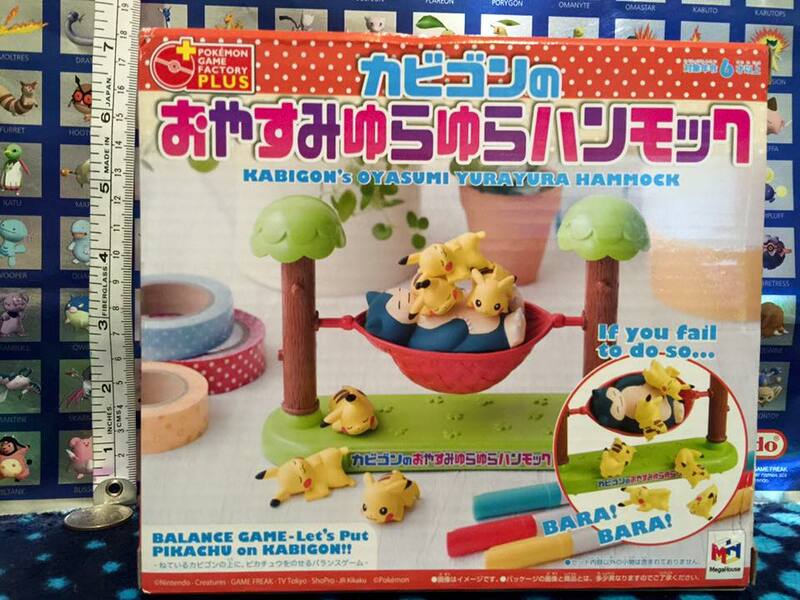 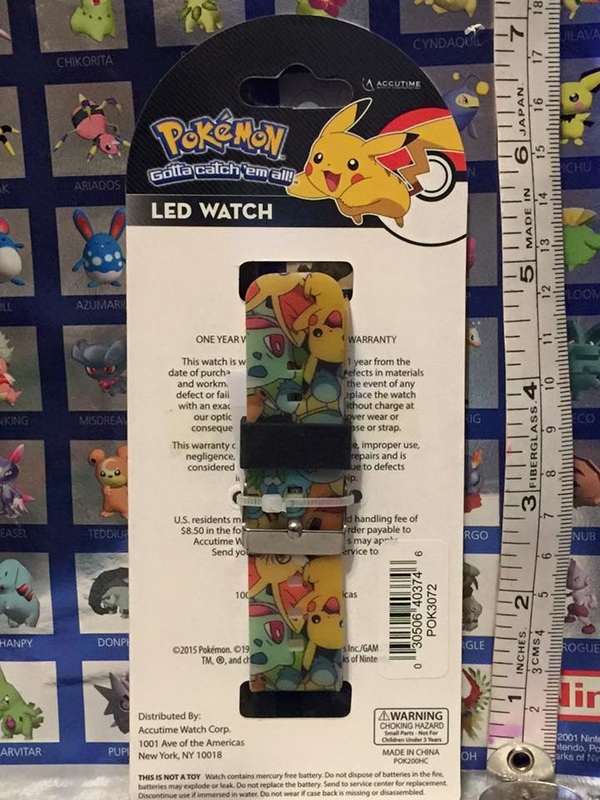 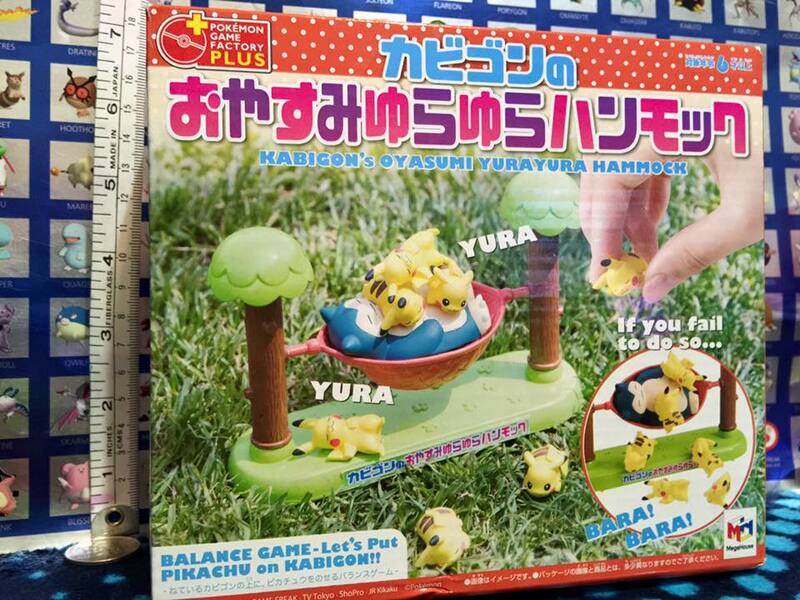 Pokemon Battns. 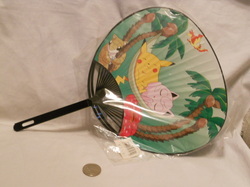 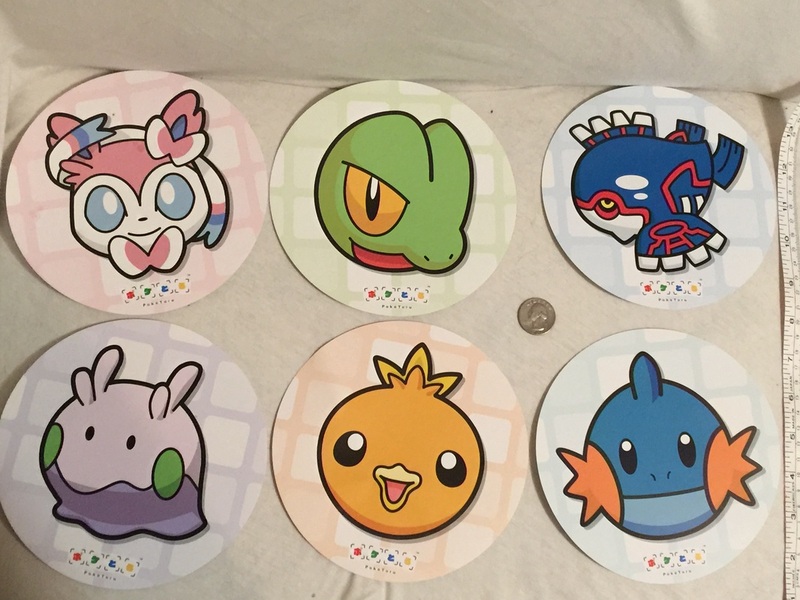 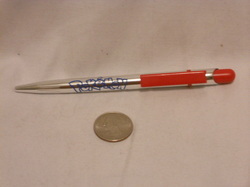 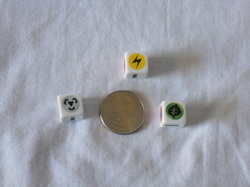 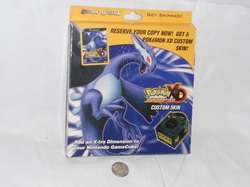 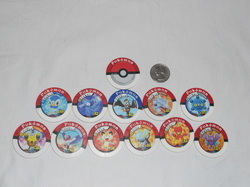 These are used for the Japanese Pokemon Battrio arcade machine to battle. 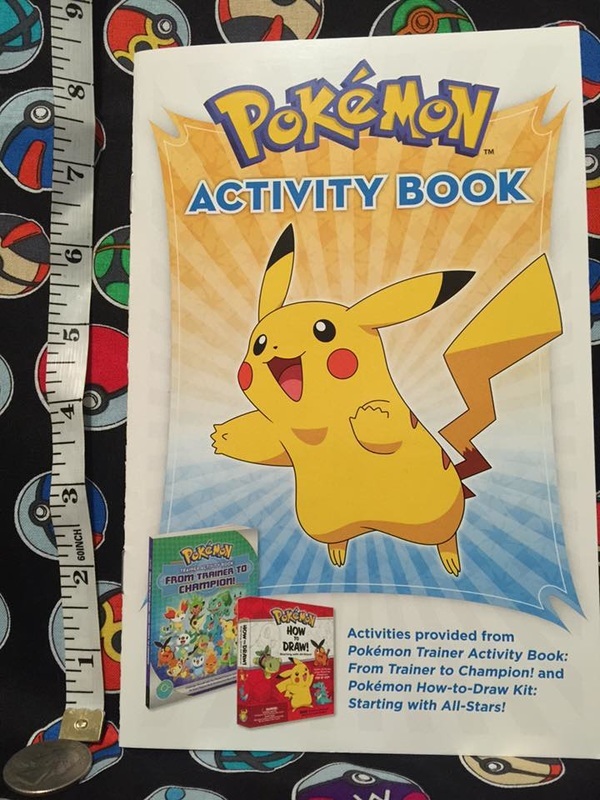 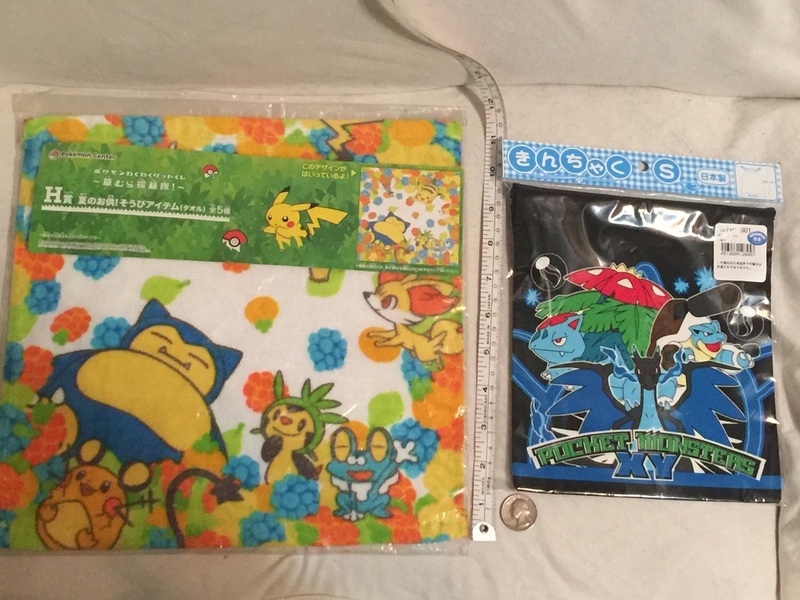 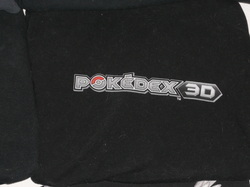 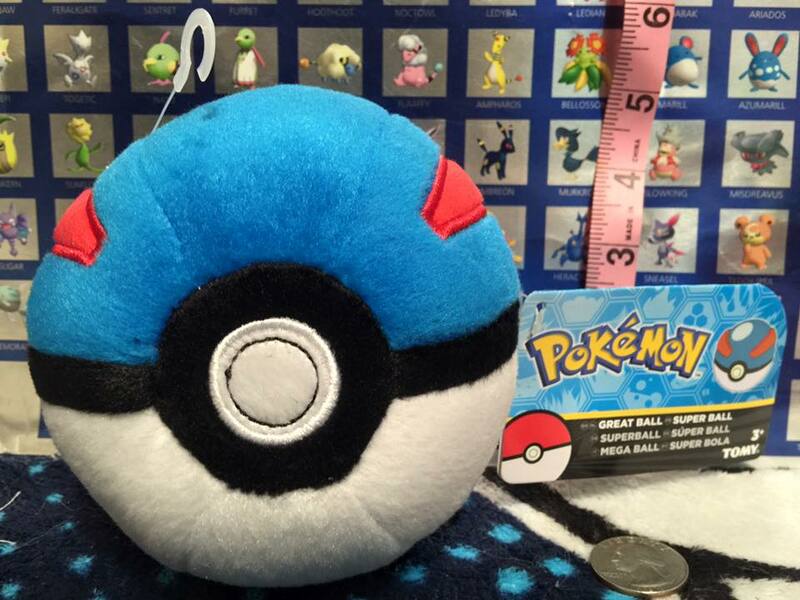 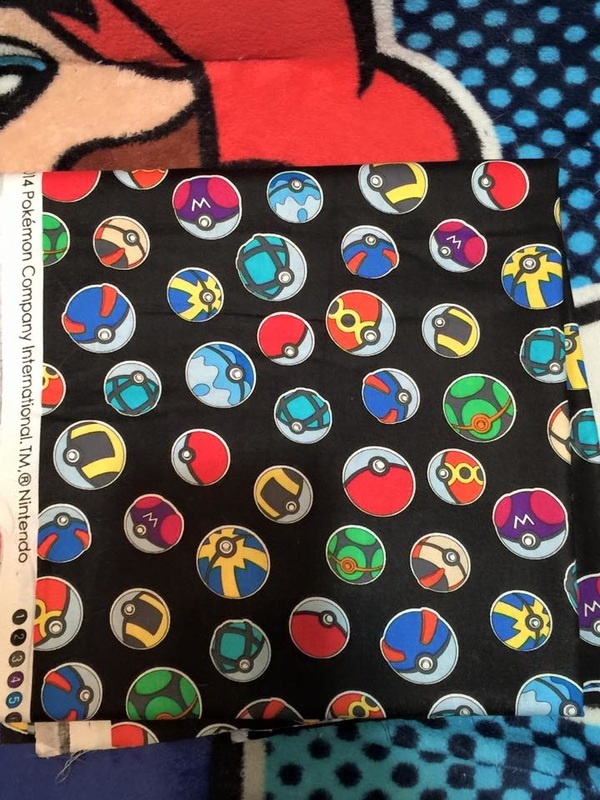 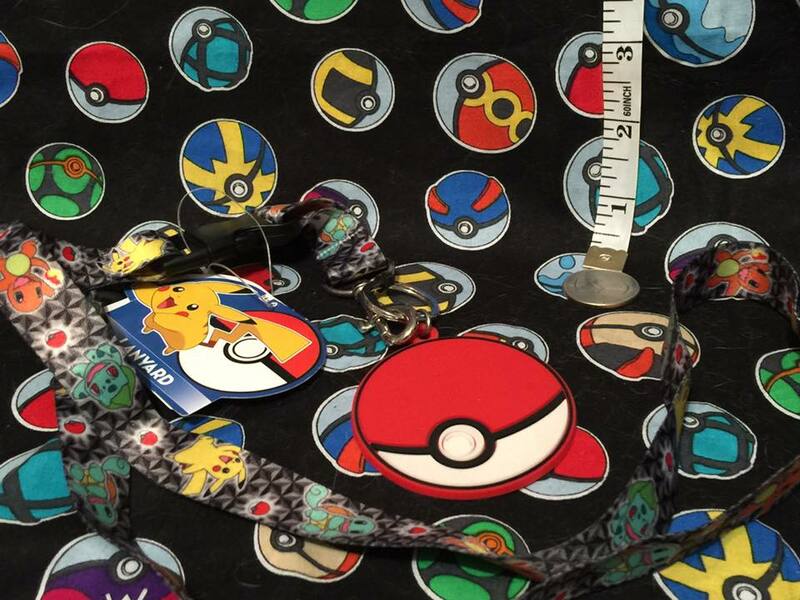 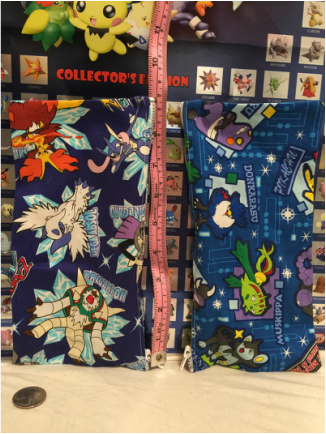 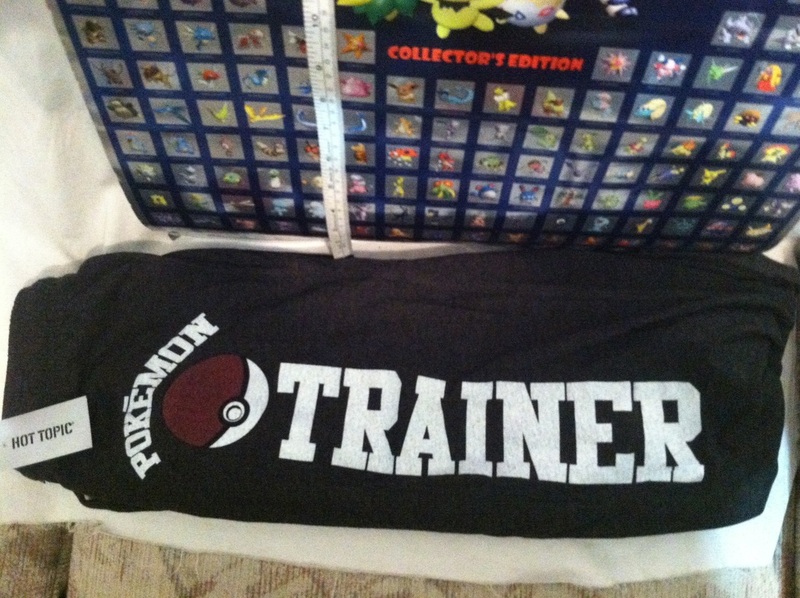 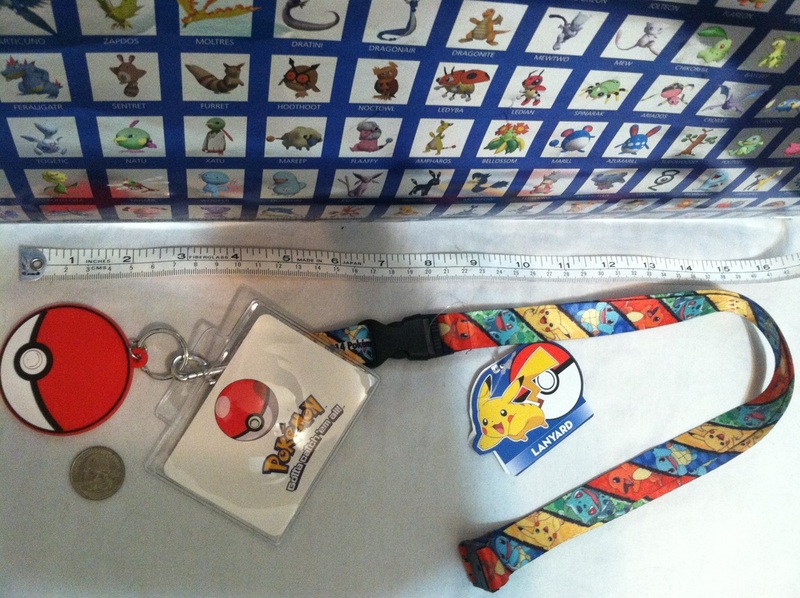 Pokemon Custom 3DS Bags made from official fabric given to us at ALA 2015. 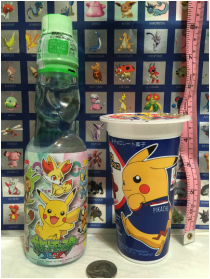 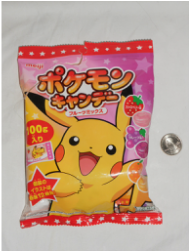 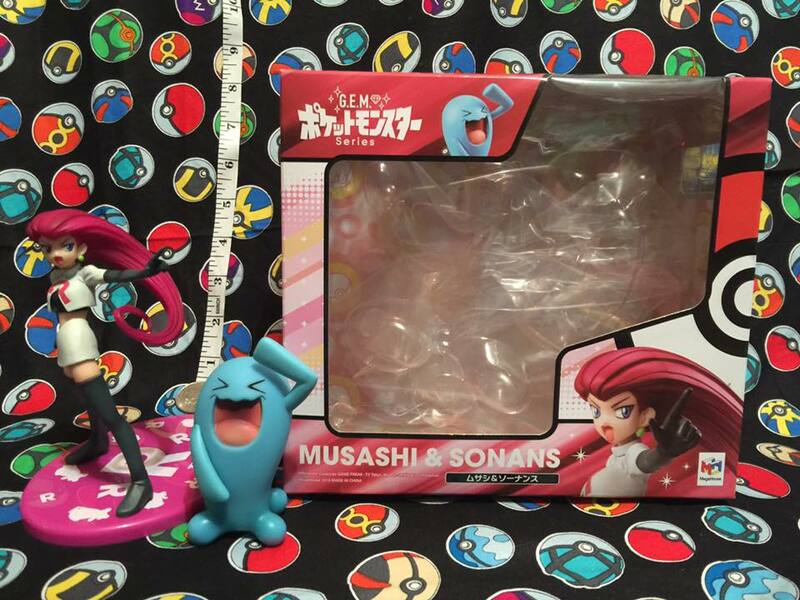 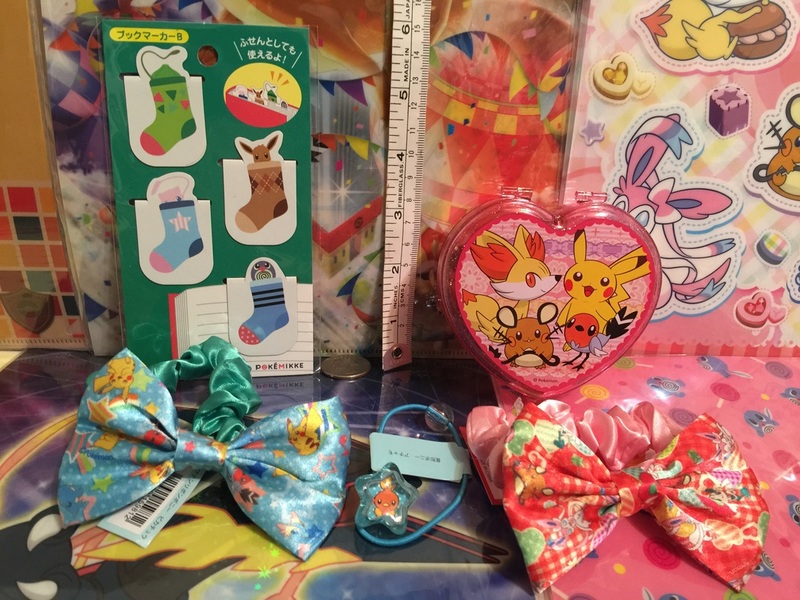 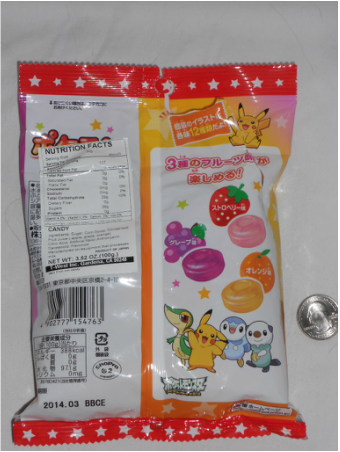 Pokemon Kalos Ramune and Lotte puff Pastry.